As a technical or product-focused CEO/founder of a growing company, a challenge one eventually faces is making that first product manager hire. Like most founders, there’s a good chance that you’re seeing ongoing challenges balancing the ever-increasing workload as CEO and starting to feel that sense of distance from the product as the needs of sales, marketing, hiring, and more pull you away. You might be wondering how you can spend more time on what you love, the product, while recognizing as CEO you must grow the strength of the organization while also focus on the contributions that you can make uniquely from the CEO role. This is where making the first product manager hire is necessary and also a unique challenge. Most of the time, this hire is postponed as long as possible. You can cover-up for this missing resource with additional late night mails, some extra last minute meetings, and so on. The time this really hits home is when feature work or decisions turn into re-work or re-thinking. That’s the sign it is time to hire some help. Engineering resources are precious and timelines are always tight—being the founder-pm-bottleneck is no way to iterate your way to product-market fit. The short answer to this next step is two-fold. First, at an emotional level this is extremely difficult for most every founder (btw, in a big company if you are starting a new product team it turns out this same dynamic applies). It is likely you will talk to quite a few candidates and no one will ever seem quite right. Second, you are going to have to trust your team a great deal on the fit and in doing so adjust your own approach to product management as part of the on-boarding process. Every situation will be unique and there is no single rule for what type of skillset, experience, or seniority will be right for you and your company. The most important thing to think through before you start the process is to agree between your co-founder(s) and team on the profile of the role you wish the new PM to play in the organization. Seniority. Are you looking for a VP, Director, Lead? Most typically you start here but these descriptions might fall short of really defining the role and so you end up seeing a lot of candidates. Domain. Perhaps you are looking to fill in a specific technology background as part of this hire? As the product evolves you might be expanding into product areas that could use additional strength from product management. The question is really how much this will change the bottleneck you might be seeing. Skillset. Are you looking for a candidate with more of a design, project management, or engineering background? Each of these are examples of necessary but not sufficient criteria in kicking off the search for your first product manager. Because the first product manager hire is so unique for a product-focused founder, it is worth offering a framework or characterization of the role that you might start with. Once you arrive at characterizing the role, then you are in a better position to narrow the search by more traditional experience and skills descriptors. Each of these below can work with the key being clear on hire and in management what the expectations are for the new product manager. Extra hands. Most every founder I speak with starts the description of needing an extra set of hands, eyes, ears—someone to offload some work to, follow-up, track down, etc. This is often a positive stop-gap and can certainly work short term. Medium to long-term it can also starve you of the opportunity to grow the organization or might mean you set yourself up for yet another product management challenge down the road. If you go with this approach then the important thing to watch is that you did not solve you bottleneck problem by just moving it to another person or adding a level of bottleneck-indirection. Process chief. Are you looking to offload the unpleasant or less intellectual aspects of product management such as the details of tracking, documenting, and other “process” issues? It is quite natural to be very narrowly focused in hiring the first product manager to want this set of skills added to the team. It isn’t uncommon for engineering to also seek this addition. The good news is this is almost always helpful. The challenge is it also adds another person to the team for the short term but might not really reduce the load or bottleneck but could unintentionally add friction to the process. A careful balance is required. Apprentice. Many times the goal of bringing on the first product manager is to reduce the risk of hiring a senior or experienced person and going with a relatively junior hire and working to grow him/her into the role that you actually need. This can often be the most comfortable approach for the team because there’s a clear view of who the boss is and relatively clear expectations with the new PM. Generally the challenge can be down the road when you bring in more product managers and have to decide if the apprentice is “senior enough”. To avoid this challenge the best thing to do is really put in place a true training and growing situation. You need to provide the right level of responsibility and feedback/mentoring. Sometimes the difficulty is in hiring at this level but expecting too much, too soon. Mini-me. Another model I have seen is searching for that first PM that is a reflection of your own skillsets and experience—a mini-me. For many this younger-sibling approach can be comfortable and easy to model and understand. It is a matter of finding the candidate that shares your product point of view and vision, and then a way of getting it done. The interesting challenge with this approach is not the way it works, but the way it might not work. Will the new PM amplify not just your strengths but your weaknesses? Will this miss out on the chance to being more perspective, diversity of thought and approach, or new ideas into the team? Are you being imitated or copied? Successor. The most difficult or bravest first PM hire is to hire your successor. In hiring this person you’re bringing on a person who will simply be the final voice in product management. This is a scary approach and depending on the direct responsibilities you have and where you are in the product-market fit journey this might be the best approach for you and the team. The challenge I’ve seen most often with this first hire is that the seniority level doesn’t quite match the organization yet. The new hire’s first step is to build out a team and bring on more people. This might be exactly why you’re bringing on the person (just as when you bring on less familiar functions) but generally isn’t the case for product management as most often the first hire needs to be hands on and will buy you some time or runway. On the other hand, often the right candidate comes along—one who has the right level of person contribution, domain knowledge, and scale experience—and that might make for the right fit. Of course hiring the person that fits this description as well as all the right product skills could turn into a unicorn hire, so definitely be careful about over-constraining the challenge. Of course, hiring is just the first step. As you onboard, assign and delegate work, and manage a new product manager you will also need to be incredibly deliberate in your own evolving role in product management. All too often the most-fitting hires can run into challenges when there is a mismatch between intention and execution of product management responsibility. One word of caution. If you are concerned or even “afraid” of hiring a strong product person with a point of view, perspective, or just streak of stubbornness then think for a moment. Are you labeling the person a poor fit for “culture” or are you actually more concerned that they might make your own personal transition more challenging? If you’re working to always bring on strong people, don’t compromise at this juncture. Hiring the first or early product managers for technical/product focused founder(s) is always a big step and a difficult one. When done correctly it can be a positive and rapid accelerator for engineering and a positive for the company overall as it makes room for you as that leader to focus on the work you can do uniquely. No one wants friction in their products. Everyone works to reduce it. Yet it sneaks in everywhere. We collectively praise a service, app, or design that masterfully reduces friction. We also appreciate minimalism. We love when products are artfully distilled down to their essence. How do we achieve these broadly appreciated design goals? A design can be minimal but still have a great deal of friction. The Linux command line interface is a great example of minimal design with high friction. You can do everything through a single prompt, as long as you know what to type and when. The minimalism is wonderful, but the ability to get going comes with high friction. The Unix philosophy of small cooperating tools is wonderfully minimal (every tool does a small number of things and does them well), but the learning and skills required are high friction. When debating a design choice, feature addition, or product direction it can help to clarify whether a point of view originates from a perspective of keeping things minimal or reducing friction. If people discussing a decision start from this common understanding, I bet a decision will be reached sooner. Essentially, is the debate about adding a step or experience fork, or is it about adding something at all? Product managers need to choose features to add. That is what makes all of this so difficult. As great as it is to stay pure and within original intent, if you and the team don’t enhance the capabilities of your product then someone will do what you do, but with a couple of more things or a different factoring and you’ll be left in the dust. Therefore the real design challenge is not simply maintaining minimalism, but enhancing a product without adding more friction. Let’s assume you built a product that does something very exciting and has a very low friction to usage and does so with a minimal feature set. The next efforts are not about just watching your product, but about deciding how to address shortcoming, enhance, or otherwise improve the product to grow users, revenue, and popularity. The risk with every change is not simply failing to maintain minimalism, but introducing friction that becomes counterproductive to your goals. When you look back you will be amazed at how the surface area of the product has expanded and how your view of minimalism has changed. Finding the right expression of new features such that you can maintain a minimalist approach is a big part of the design challenge as well. There’s an additional design challenge. The first people who use your product will likely be the most enthusiastic, often the most technical, and in general the most desirous of features that introduce friction. In other words you will get the most positive feedback by adding features that ultimately will result in a product with a lot more friction. Product managers and designers need to find the right balance as the extremes of doing nothing (staying minimal) and listening to customers (adding features) will only accelerate your path to replacement either by a product with more features or a product with less friction. Decide on a default rather than options. Everything is a choice. Any choice can be A/B tested or debated as to whether it works or not. The more testing you do the more likely you are to find a cohorts of people who prefer different approaches. The natural tendency will be to add an option or setting to allow people to choose their preference or worse you might interrupt their flow to ask preference. Make a choice. Take a stand. Every option is friction in the system (and code to maintain). When we added the wheel to the mouse in Office 97 there was a split in the team over whether the wheel should scroll down or whether it should zoom in/out. From the very first release there was an option to appease the part of the team that felt zoom was more natural. Even worse, the Word team went and did a ton of work to make zoom performant since it was fairly unnatural at the time. Create one path to a feature or task. You add a new feature all is good—you’re in X in your product and then you can do Z. Then someone points out that there are times when you are doing Y in your product and you also want to do Z. Where there was once one path to get to a feature you now think about adding a second path. Maybe that sounds easy enough. Then a few iterations down the road and you have 5 different ways to get to Z. This whole design process leads to shortcuts, floating buttons, context menus, and more. Again all of which are favored by your early adopters and add friction for everyone else, and also add code. Pick the flow and sequence and stick with it. The most famous debate of all between Windows and Mac was over right click and it still rages. But the design energy to populate context menus and the cognitive load over knowing what you can or cannot do from there is real. How many people have right clicked on a file in the Windows desktop and clicked “Send” only to be launched into some Outlook configuration dialog when it would have been frictionless to always know that insert attachment in mail works and nothing will fail. Offer personalization rather than customization. Early adopters of a product love to customize and tweak. That’s the nature of being a tech enthusiast. The theory is that customization makes a product easier to use because every use case is different enough that the time and effort saved by customization is worth it and important. In managing a product over time, customization becomes an engineering impossibility to maintain. When you want to change behavior or add a feature but it isn’t there or moved you introduce an engineering impossibility. The ability in Office to reorganize all the toolbars and menus seemed super cool at the time. Then we wanted to introduce a new scaleable structure that would work across resolutions and input devices (the ribbon). The problem was not just the upgrade but the reality that the friction introduced in using Office by never knowing where the menus might be (at the extreme, one could open a document that would rearrange the UX) was so high the product was unusable. Enterprise customers were rearranging the product such that people couldn’t take courses or buy books on how to use Office. The constraint led to the addition of a single place for personalization (Quick Access Toolbar) which ultimately allowed for a much lower friction design overall by enabling personalized efficiency without tweaking the whole experience. Stick with changes you make. The ultimate design choice is when you change how a feature used by lots of customers works. You are choosing to deliberately upend their flow and add friction. At the same time the job of designing a product is moving it forward to new scenarios and capabilities and sometimes that means revisiting a design choice perhaps one that is the standard. It takes guts to do this, especially because you’re not always right. Often the path is to introduce a “compatibility mode” or a way to turn your new product into the old and comfortable product. This introduces three problems. First, you have to decide what the default will be (see the first rule above). Second, you have to decide if/how to enhance the old way of doing things while you’re also adding new things. Third, you have to decide when down the road you remove the old way, but in reality that will be never because you already told customers you value it enough to keep it around. But adding compatibility mode seems so easy and customer friendly! Ultimately you’re creating a technical debt that you can never dig out of. At the same time, failing to make big changes like this almost certainly means your product will be surpassed in the marketplace. See this HBS case on the Office 2007 Ribbon design http://www.hbs.edu/faculty/Pages/item.aspx?num=34113 ($). Build features, not futzers. 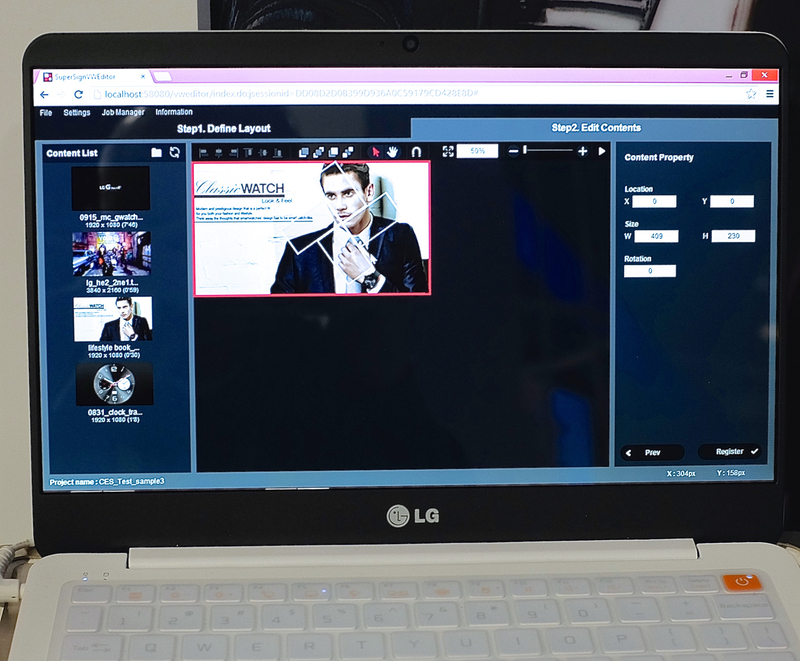 Tools for creativity are well-known to have elaborate palettes for formatting, effects, and other composition controls. Often these are built on amazing “engines” that manage shapes, text, or image data. Historically, tools of creativity have prided themselves on exposing the full range of capabilities enabled by these engines. 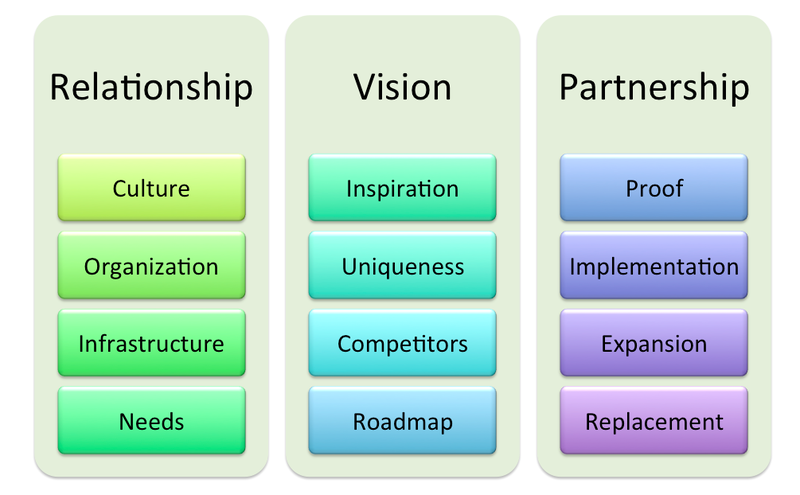 These vast palettes of features and capabilities came to define how products and compete in the marketplace. In today’s world of mobility, touch interfaces, and timely/continuous productivity people do not necessarily want to spend time futzing with all the knobs and dials and seek to minimize time from idea to presentation—call this the Instagram effect. Yet even today we see too many tools that are about debugging your work, which is vastly different than getting work done. When a person needs a chart, a table, a diagram or an image how can you enable them to build that out of high-level concepts rather than the primitives that your engine supports? I was recently talking to the founder of an analytics company struggling with customer input on tweaking visualization which was adding complexity and taking engineering time away from adding whole new classes of visualization (like maps or donut charts). You’ll receive a lot of input from early customers to enable slightly different options or adjustments which will both challenge minimalism and add friction to your product without growing the breadth of scenarios your product enables. Staying focused on delivering features will enable your product to do more. Finally, a word of caution on what happens as you expand your customer base when it comes to adding features. Anything you want to do in a product can be “obvious” either from usage data or from customer input. The challenge in product management is to create a core set of principles or beliefs about how you want to move the product forward that allow you to maintain the essential nature of your product while adding new features. The tension between maintaining existing customers via stability or incremental improvements versus keeping pace with where the marketplace is heading is the classic design challenge in technology products. It shouldn’t be much of a surprise, but a great deal of product bloat comes from adding the obvious feature or directly listening to customers, or by failing to stick with design patterns. Ironically, efforts to enhance products for today’s customers are often the very features that add friction, reduce minimalism, and lead to overall bloat. This march from Bauhaus to Bloatware is well-known in our industry. It is part of a cycle that is very difficult to avoid. It is not without irony that your best and most engaged customers are often those pushing you to move faster down this path. Most every product in every segment starts minimal and adds features over time. At each juncture in the evolution of the product there is a tension over whether additions are the right marketplace response or simply bloat. This march (and tension) continues until some complete rethinking introduces a new minimal product addressing most of the same need but from a different perspective. The cycle then starts again. Operating systems, databases, instruction sets, peripheral connection, laptops, interfaces, word processors, and anything you can name has gone through this cycle. This re-evolution or reimagination of a product is key to the long term viability of any technology. By adhering to a set of design principles you are able to expand the breadth of use cases your product serves while working to avoid simply adding more friction to the core use cases. After publication three typos were fixed and the example of personalization clarified. 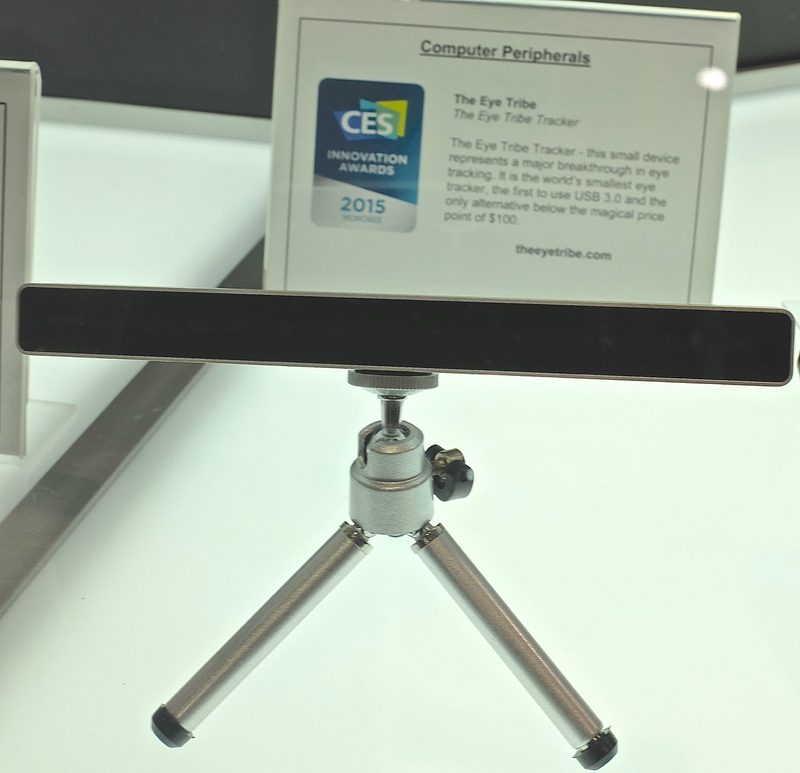 CES 2015 was another amazing show. Walking around the show one can only look with wonder about the amazing technologies being invented and turned into products. Few things are as energizing or re-energizing as systematically walking the booths and soaking it all in. I love CES as a reminder of the amazing opportunity to work in this industry. Taking a moment to share what I walk away with is always helpful to me—writing is thinking. Every day we have the chance to talk to new companies about products under development and ideas being considered and CES provides a great cross-industry context about what is going on. This is especially important because of the tendency to look too much to the massive companies that might dominate our collective point of view. My experience has been that spending energy on what is going on CES unlocks potential opportunities by forcing you to think about problems and solutions from different perspectives. Ever the product manager (PM) I try to summarize each of these sections with some top-line PM Learning to put the post into action. Click on images for larger version. All photos by me unless noted. PM Learning: Of course optimize your experiences to minimize impact on battery life, but don’t assume your competitors will be doing the same. Think about the iPhone OS and built in apps navigating that fine line. In you’re making new hardware, assume standard connectors for charging betting on Type-C and HDMI. 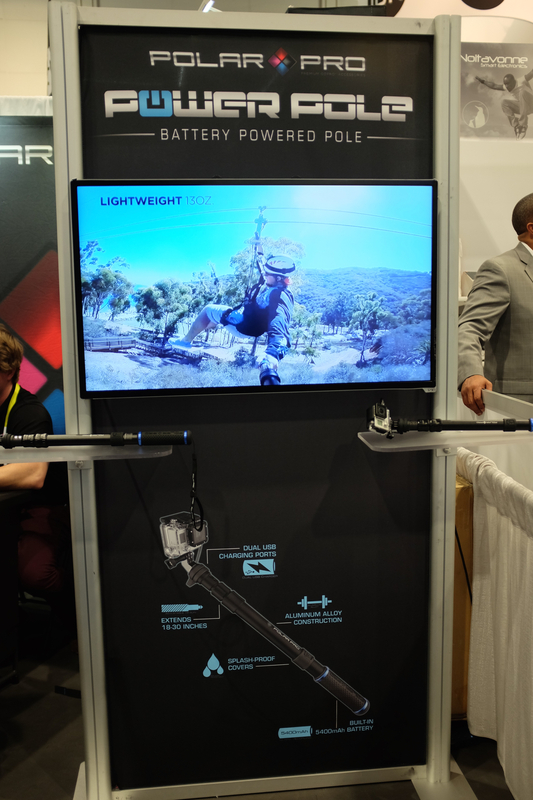 The best place to start with CES is batteries and wires, because that’s what will follow you around the entire show—everyone walks the show floor in search of outlets or with an auxiliary battery and cable hanging off their phone. Batteries created the portable consumer electronics revolution, but we’re also tethered to them far too often. The good news is that progress is real and continues to be made. Behind the scenes a great deal of progress is being made on power management with chipsets even wireless ones. 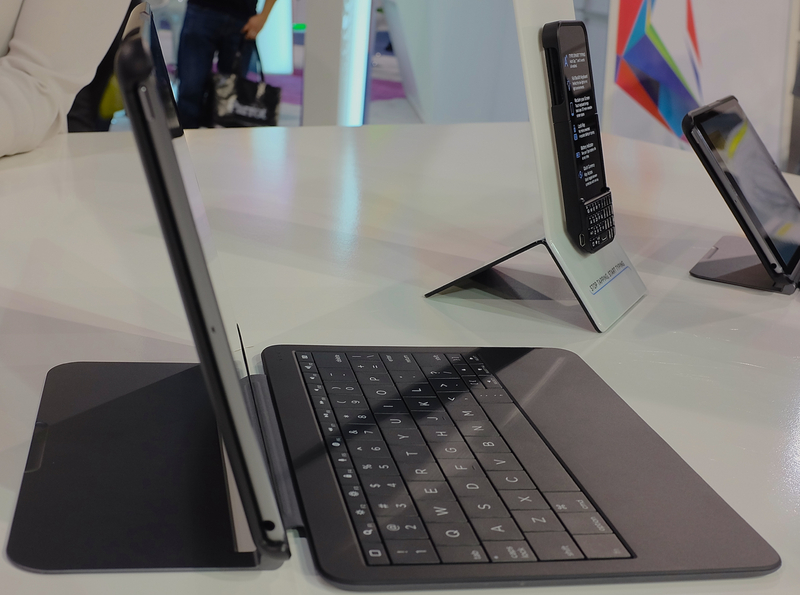 On display at the show were Bluetooth keyboards can go a year on a single charge or wireless headphones are good for days of normal usage. Progress is also being made on battery technology that is making it possible for smaller, lighter, and faster charging batteries. While these are not dramatic 2 or 3X improvements, they are real. 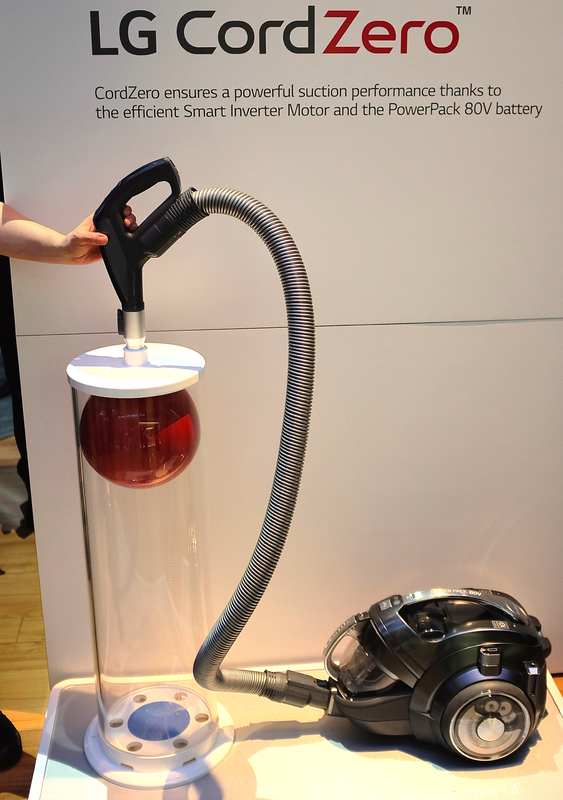 The first product I saw was an LG cordless vacuum that had 70 minutes of usage and the cleaning power passing the classic bowling ball suction test. Truly something that makes everything easier. Batteries are an important part of transportation and Panasonic is the leading manufacturer right now of large-scale batteries for transport. On display was the GoGoRo urban scooter. This is not just a battery-operated scooter that can go 95 km/h and is cloud connected with GPS locator maps. It can go 100km on a pair of batteries. All that would be enough. But the batteries can be swapped out in seconds and you’re on the go. 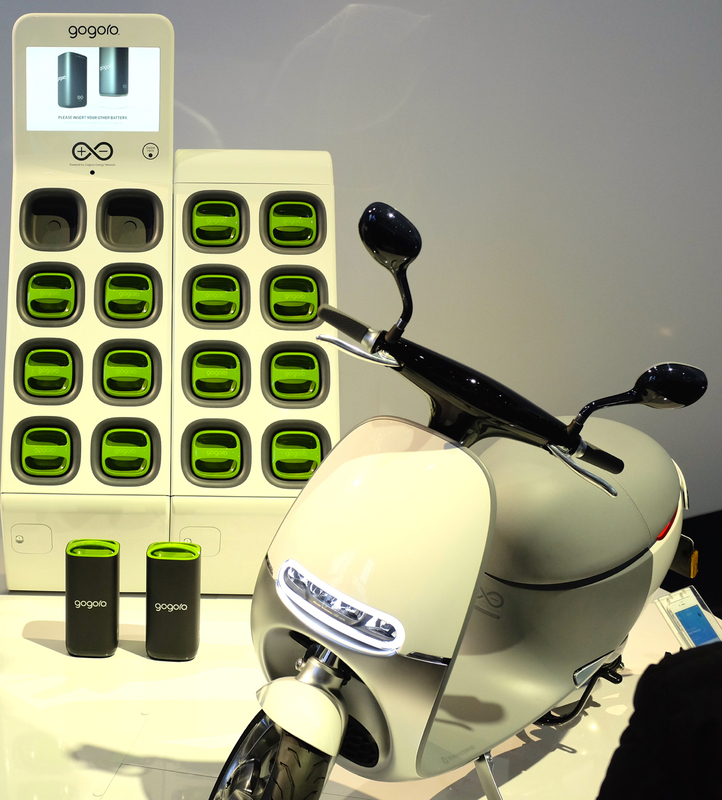 The company plans to build a network of charge stations to go with a business model of subscription. I love this whole concept. 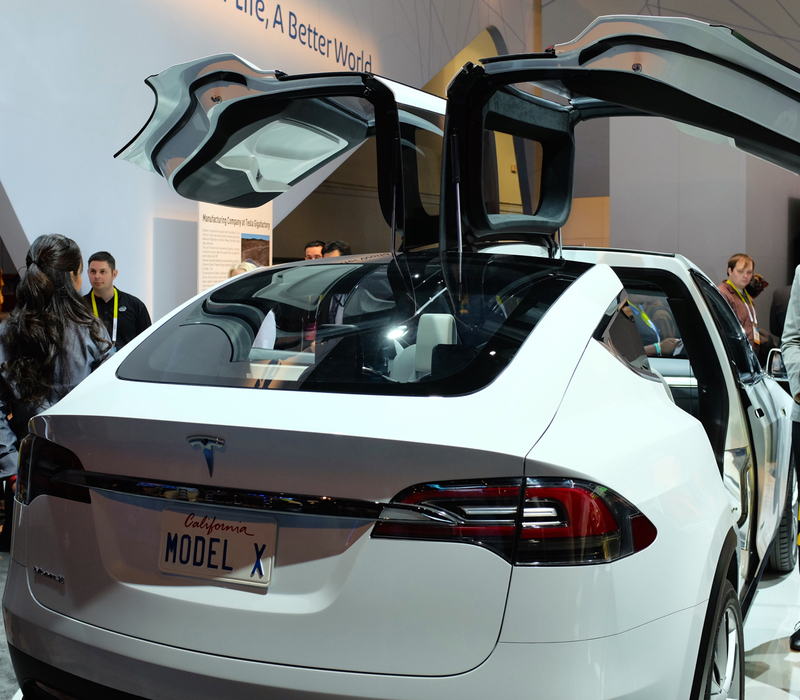 Panasonic also makes batteries for the Tesla so here is a gratuitous picture of the gratuitous Tesla Model X on display. While all consumer electronics have aimed for simplicity since the first blinking 12:00 on a VCR, simplicity has been elusive due to the myriad of cables, connectors, remotes, and adapters. Normally a CES trip report would include the latest in cable management, high tech cables, or programmable remotes. Well, this year it is fair to say that these whole categories have basically been subsumed in a wave of welcome simplicity. Cables, to the degree they are needed, have mostly been standardized on HDMI for video and USB for charging and peripherals. With the forthcoming USB Type-C even USB will be standardized. The Apple connectors are obviously all over though easily adapted to micro-USB for now (note to makers of third party batteries—margins are tight, but using a MFI logo and an Apple cable end would be welcome). When you do need cables they are getting better. 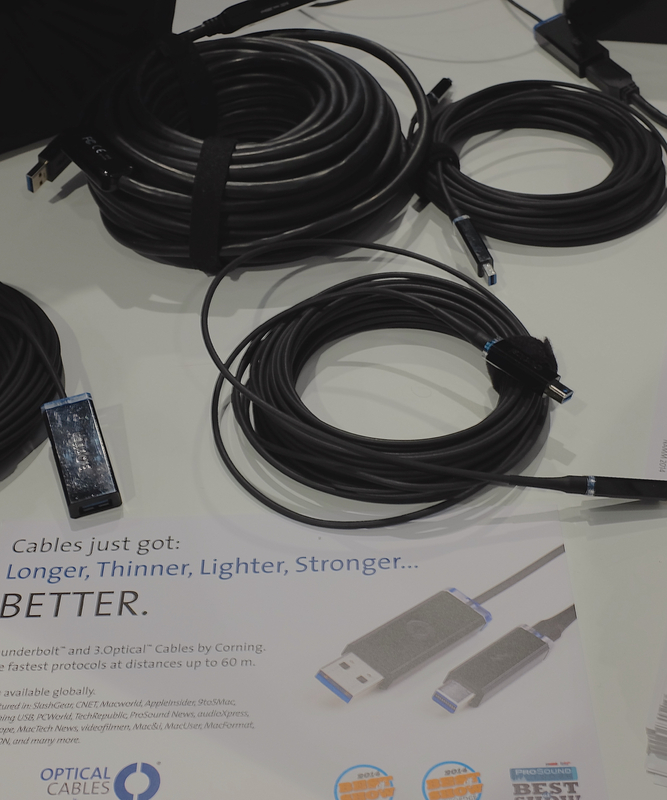 It was great to see an awesome fiber-optic cable from Corning that worked for USB (also displayport). It makes the cable much thinner and more flexible along with increasing the signal travel distance since it uses active powered ends. HDMI in the works. 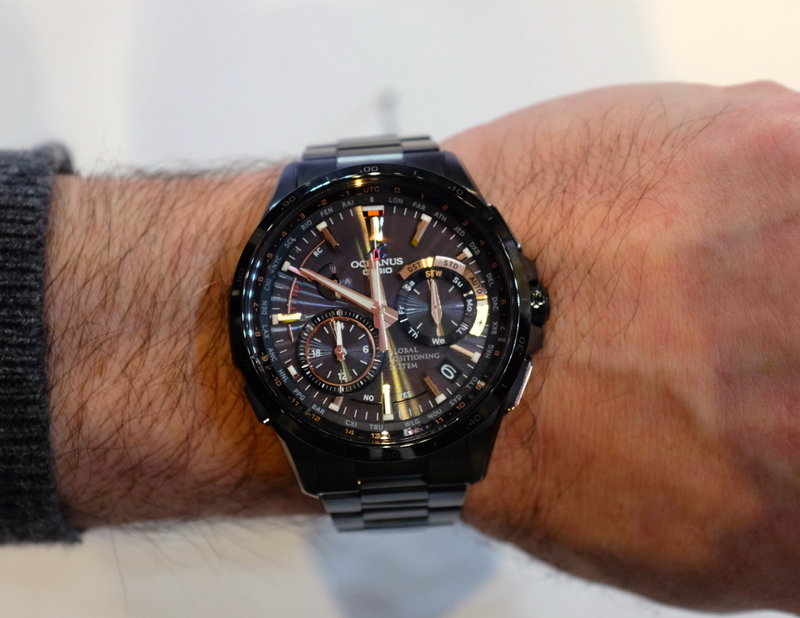 While most attention went into Smart Watches with too many features, Casio’s latest iteration offered a new combination of better battery life and low power radios. The new watch uses solar charging along with a GPS receiver (and also the low power radio waves) to set the time based on location. And it is not even huge. 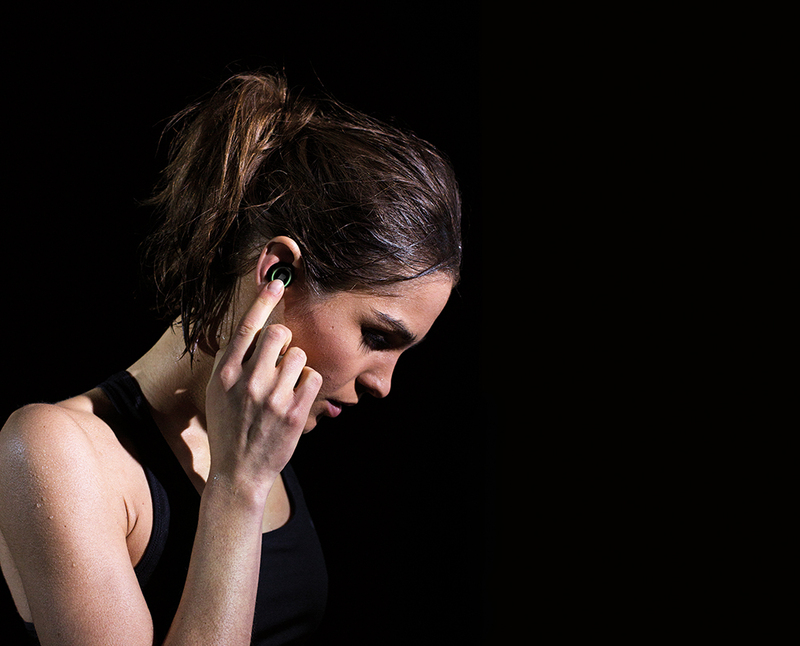 Bringing this theme is no wires and improved batteries to a new extreme, the wireless earbuds from Bragi are aggressive in the feature set by incorporating not just BT for audio but a microphone for talking and sensors for heart rate (though not likely very reliable) and temperature (not sure of the use as a practical matter). But certainly worth looking at when they are available. Photo by Bragi. PM Learning: Curved is here. Too much energy is going into this. Expect to find new scenarios (like signage) and thus new opportunities. Resolution at 4K and beyond is going to be normal very quickly and with a price premium for a very short time. Pay close attention to web page design on high resolution and high DPI (assets). 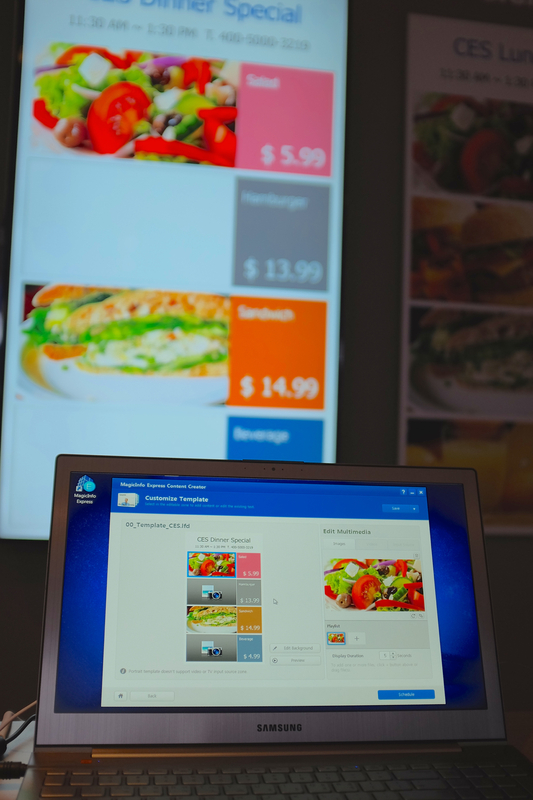 Many opportunities will exist for new screens that will run one app in a fixed function manner for line of business or in consumer settings—these are replacing static signs or unmanageable PCs. We’re on the verge of broadly deployed augmented reality and totally soft control screen layouts, starting with cars. More than anything, CES continues to be the show about TV. 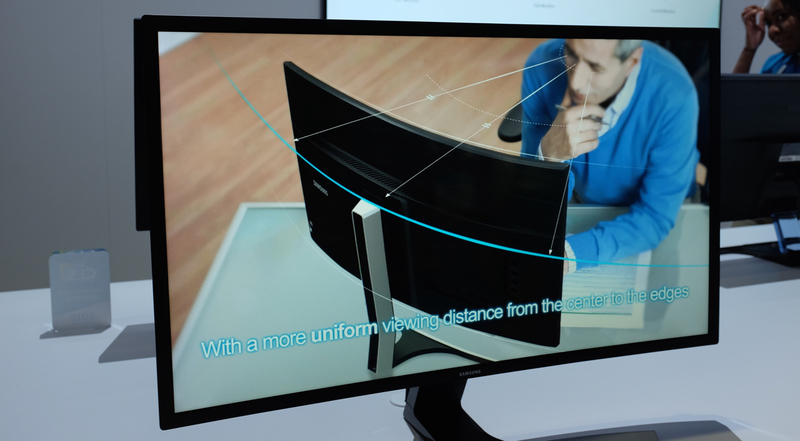 Curved screens are getting a lot of attention and a lot of skepticism, some of which is warranted. Putting them in an historical context, each generation of screen innovation has been greeted in a similar manner. Whether too expensive, too big, too incremental, or just not useful the reasons a new screen technology wasn’t going to take off have been plentiful. While curved seems weird to most of us (and frankly even maker is trying too hard to justify it, as seen in the pseudo scientific Samsung depictions below) it has compelling utility in a number of scenarios. Skeptics might be underestimating the architectural enthusiasm for the new screens as well. 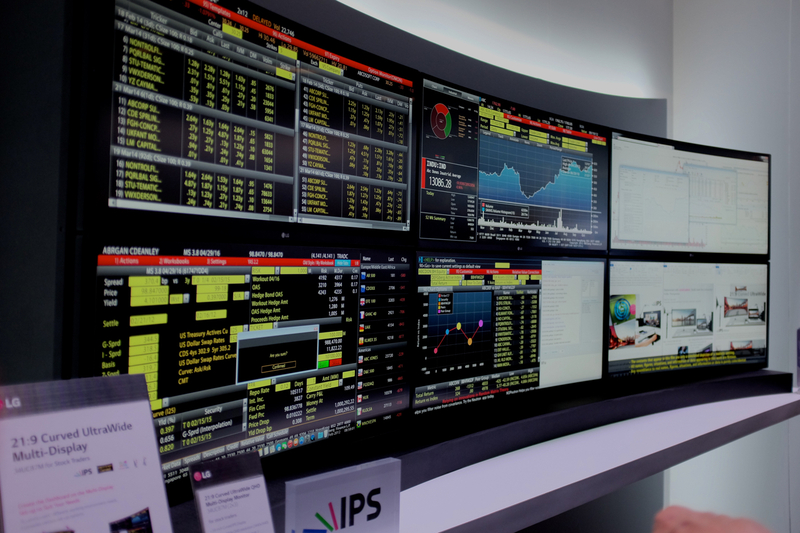 The most immediate scenario is one that could be called the “Bloomberg desktop” and here you can see it on display. It is very compelling as a single user, a “mission control” station, or as a group monitoring station. Signage is also incredibly important and the architectural use of curved screens as seen below will become relatively commonplace because of the value in having interactive and programmable displays for advertising and information. Speaking of signage, for years we’ve seen the gradual migration of printed signs to signage driven by PCs to even one year where all the screens were simply JPEGs being played in those ever-present photo frames. This year saw a number of compelling new signage products that combined new multi-screen layouts with web-based or app-based cloud platforms for creating dynamic layouts, incorporating data, and managing a collection of screens. Below we can see an example of an active menu display and the tool for managing it. Following that is a complex multi-screen 4K layout (narrow bezel) and associated tool. 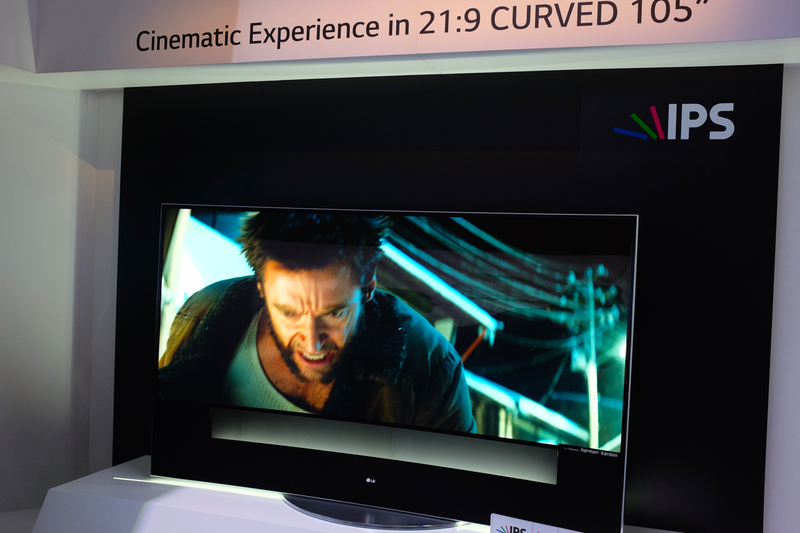 For home or entertainment, there were dozens of cinematic 21:9 4K curved screens at massive sizes. Maybe this transition will be slower (as the replacement cycle for TVs is slow anyway) due to the need for new thoughts on where to put these. This year at least was showing some wall mounting options. 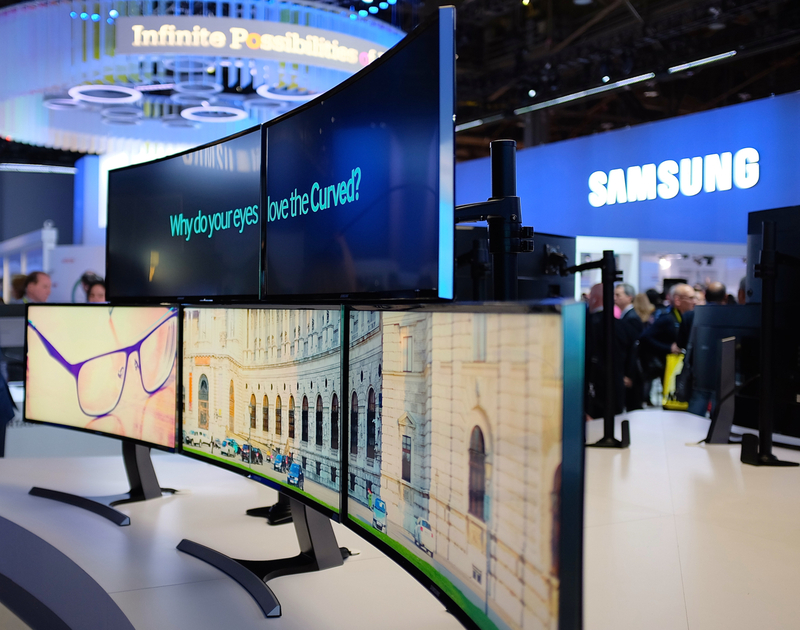 Curved screens are also making their way into small devices. Last year saw the LG Flex and an update was available this year. 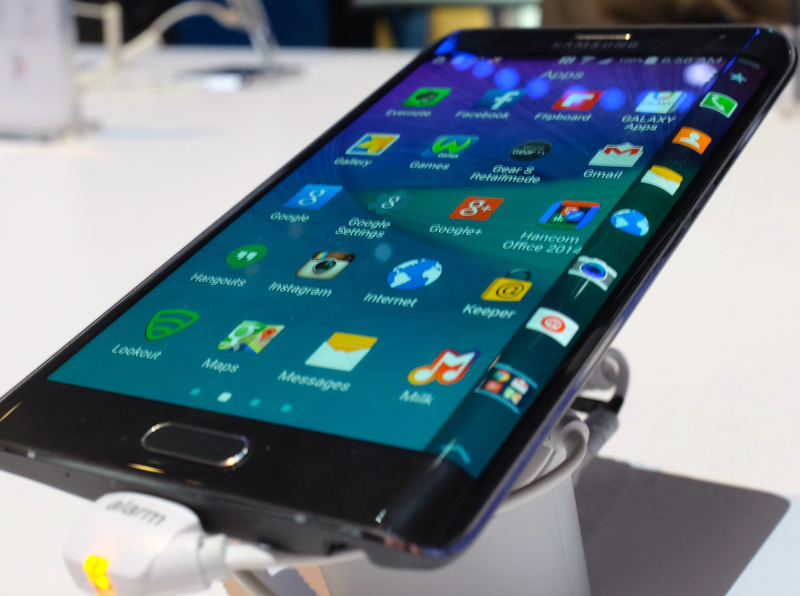 Samsung introduced a Galaxy Note Edge with a single curved edge. They went to great lengths in the software to use this as an additional notification band. I’m a bit skeptical of this as it was difficult to use without thinking hard about where to put your hand (at last in a booth minute of use). I don’t want to gloss over 4K, but suffice it to say every screen was 4K or higher. I saw a lot of skeptical coverage about not being able to see the difference or “how far away are you”. Let’s all just move on. The pixels are here and pretty soon it will just be as difficult to buy an HD display as it is to buy 512MB SIMMs or 80GB HDDs. That’s just how manufacturing at scale works. These screens will soon be cheaper than the ones they are replacing. 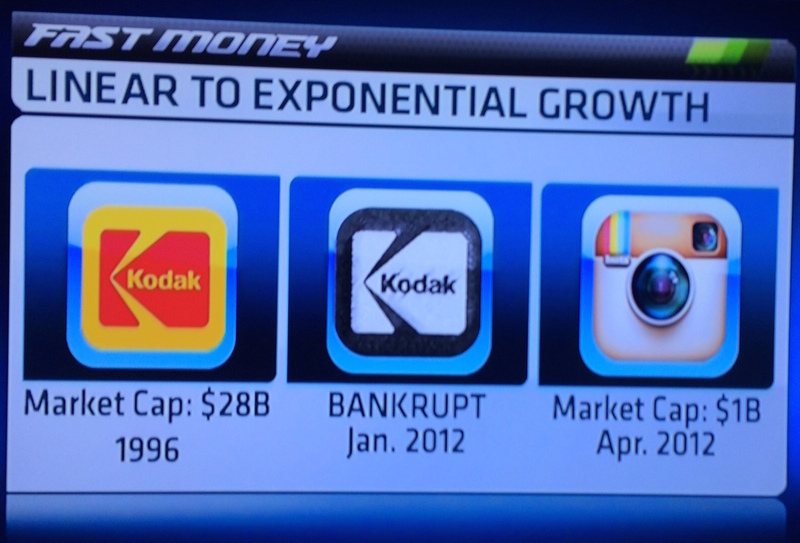 Moore’s law applies to pixels too. For the skeptics, this exhibit showed how resolution works. Screens are everywhere and that’s the key learning this year. There were some awesome augmented reality displays that have been talked about for a long time but are quickly becoming practical and cost-effective. 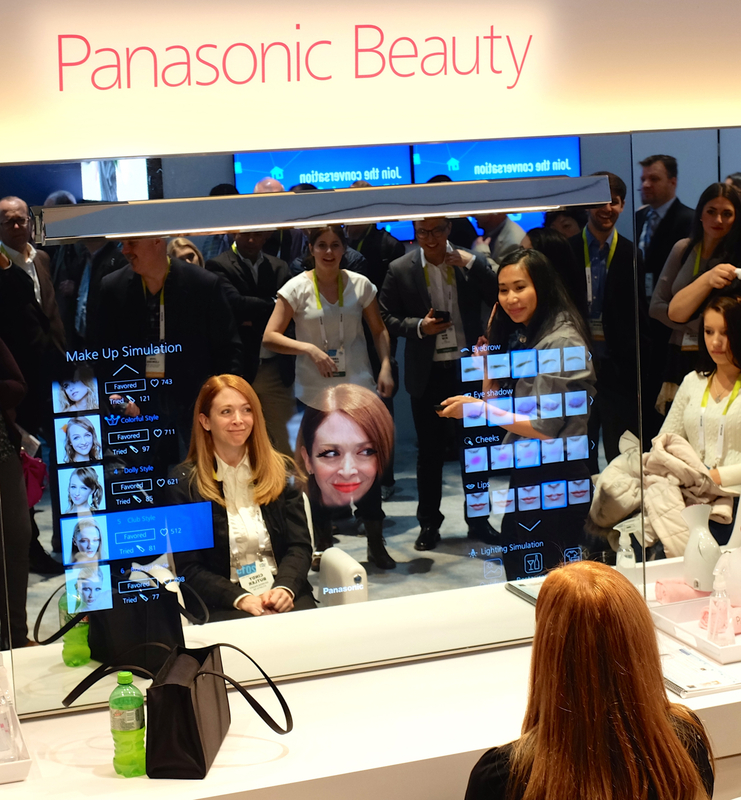 Below is a Panasonic setup that can be used to cosmetics either in store or in salon. It was really amazing to see. 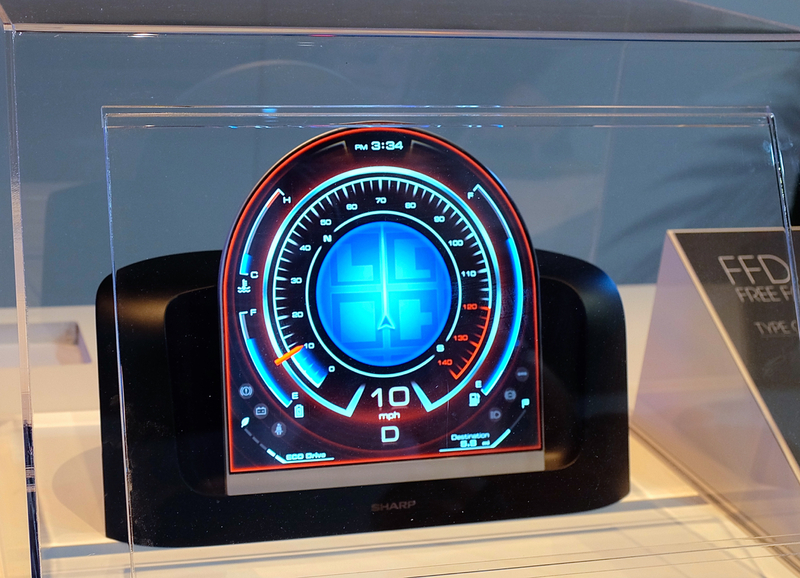 Continuing with augmented or head’s up displays, this was an amazing dashboard in a concept car from Toyota that showed off a full dash of soft-controls and integrated augmented screens. 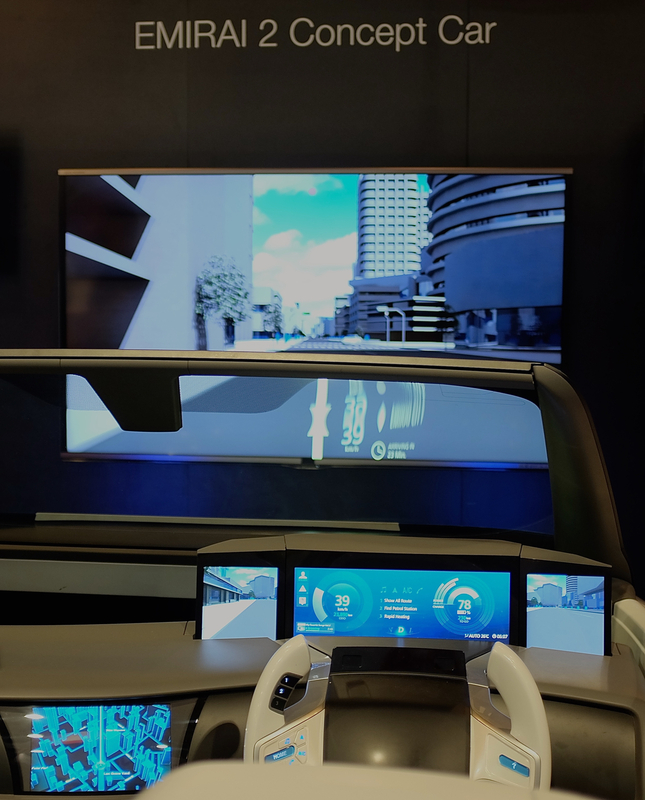 At a practical level, Sharp and Toshiba were both showing off ready-made dashboard screens that will make it into new cars as OEM components or as aftermarket parts. PM Learning: Cameras continue to gain more resolution but this year also showed a much clearer focus (ha) on improving photos as they are captured or improving video by making it smarter. Cameras are not just for image capture but also becoming sensors in their own right and integrated into sensing applications, though this is just starting. My favorite advance continues to be the march towards more high dynamic range as a default capture mode. Digital cameras made their debut in the early 1990’s with 1MP still images that were broadly mocked by show attendees and reviews. Few predicted how Moore’s law would rapidly improve image quality while flash memory would become cost effective for these large CCDs and then mobile phones would make these sensors ubiquitous. Just amazing to think about. High Dynamic Range started off as a DSLR trick and then something you could turn on and is now an Auto feature on most phones. In cameras it is still a bit of a trick. 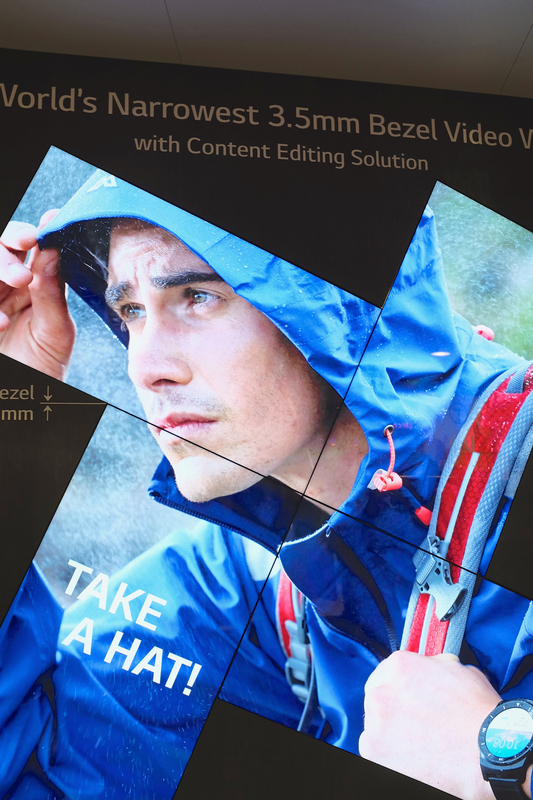 There are complexities in capturing moving images with HDR that can be overcome. Some find the look of HDR images to be “artificial” but in reality they are closer to the human eye range—this feels a bit like the debate during the first music CDs v. vinyl. Since the human eye has anywhere from 2 to 5 times the range of today’s sensors it only makes sense to see this more and more integrated into the core capture scenario. Below is a Panasonic 4K professional video camera with HDR built in. Facility security is a key driver of camera technology because of the need for wide views, low light, and varying outdoor conditions. 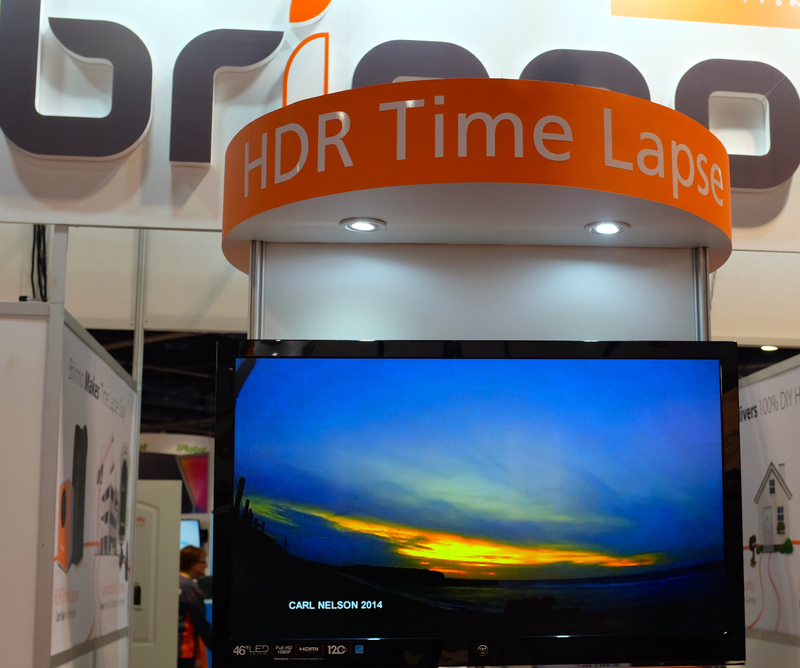 A company that specializes in time-lapse imaging (for example construction sites) introduced a time-lapsed HDR camera. Low light usually kicks in infrared cameras in security settings. For many the loss of color has always been odd. 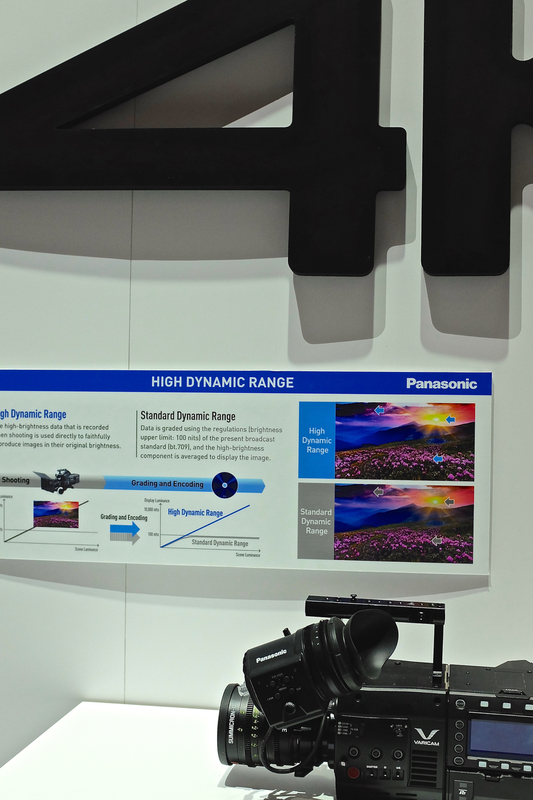 Toshiba was showing off the first 720P infrared camera that generates a color image even in 0 Lux. This is done using software to map to a colorized palette. You can see a traditional infrared and the color version side by side in a cool interactive booth. In thinking about cameras as ubiquitous, this very clever camera+LED bulb combination really struck me. Not only is it a standard PAR LED bulb, but it adds a Wi-Fi web camera. Lots of potential uses for this. 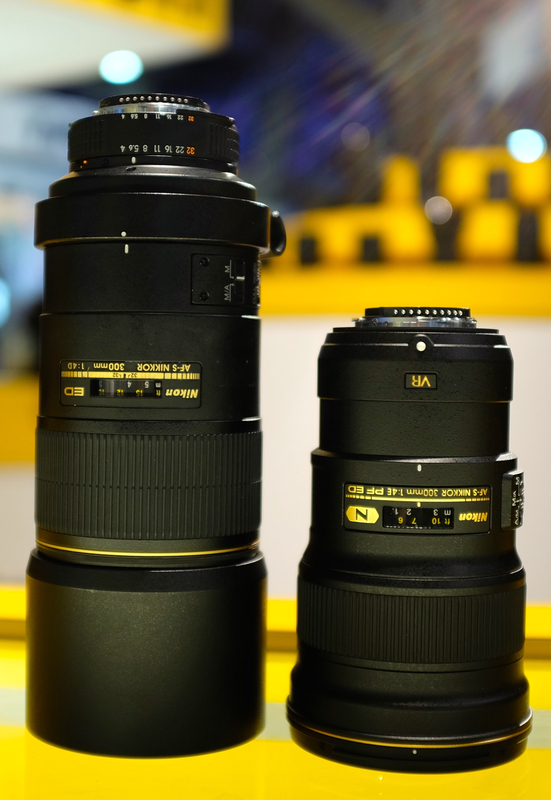 Finally, Nikon repeated their display of 360-degree stop action Matrix-like photography. It is really am amazing demo with dozens of cameras snapping a single image providing a full walk around. Just love the technology. Today’s sensors are usually taking one measurement (and often that is a proxy for what you want). These are then made into a single purpose product. The future will be more direct measurements as sensors get better and better. There’s much to be invented, for example, for heart rate, blood sugar, blood pressure, and so on. Sensors are rapidly improving in silos but will just as rapidly begin to be incorporated into aggregate units to save space, battery life, and more. There are obvious physical challenges to overcome (not every sensor can be in the same place or in contact with the same part of a body or device). Data is really the most important element and key differentiator of a sensor. It is not the absolute measurement but the way the measurement is put in context. The best way to think of this is that GPS was very useful but even more useful when combined with maps and even more useful when those maps add local data such as traffic or information on a destination. Many are still working to bring gesture recognition to different scenarios. There remains some skepticism, perhaps rooted in the gamer world, but for many cases it can work extremely well. These capabilities can be built into cameras or depending on the amount of recognition into graphics chipsets. I saw two new and neat uses of gesture recognition. 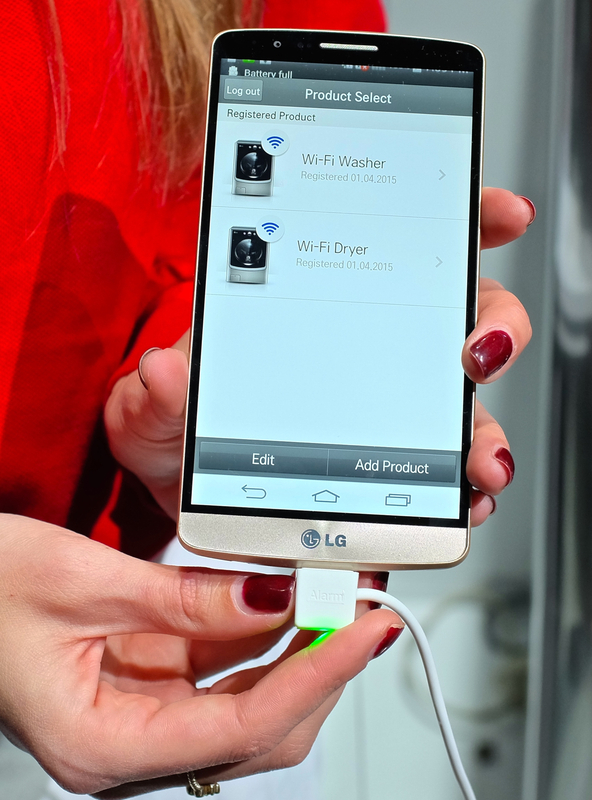 First, this LG phone was using a gesture to signal the start of a self-timer for taking selfies (just hold out your hand, recognize, squeeze, then timer starts). This was no selfie-stick (which I now carry around all the time due to the a16z selfie-stick investments) but interesting. This next demonstration was showing gestures used in front of an automobile screen. There were a lot of potential gestures shown in this proof of concept but still there are interesting possibilities. The incorporation of image recognition into the camera turns a camera into a sensor to be used for a variety of uses. This was a camera that ended up looking like the TV show Person of Interest. 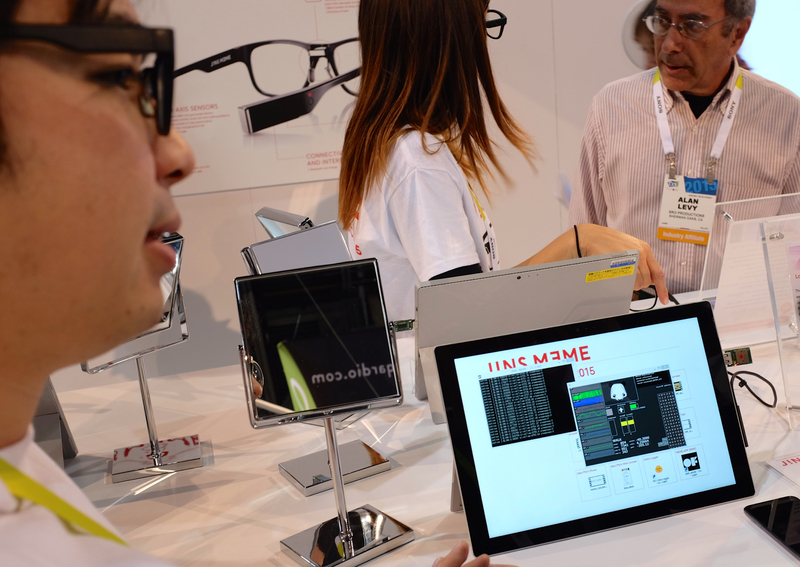 This take on eye tracking called the Jins Meme integrated eye tracking and other sensors into hipster glasses. Again the scenarios aren’t quite there yet but it is very interesting. They even package this up in multi-packs for schools and research. There were many products attempting to sense things in the home. I feel most of these will need to find better integration with other scenarios rather than being point solutions but they are all very interesting to study and will still find initial use cases. This is how innovation happens. One of the more elaborate sensors is called Mother. It packages up a number of sensors that connect wireless to a base station. There are temperature and motion sensors among them. You just place these near where you want to know something (these little chips). Then they have a nice app that translates sensing events into notifications. There were even sensors for shoes and socks. If you’ve ever had foot issues you know the need to attempt to replicate your pain while being monitored by a high-speed camera or even fluoroscope/x-ray. 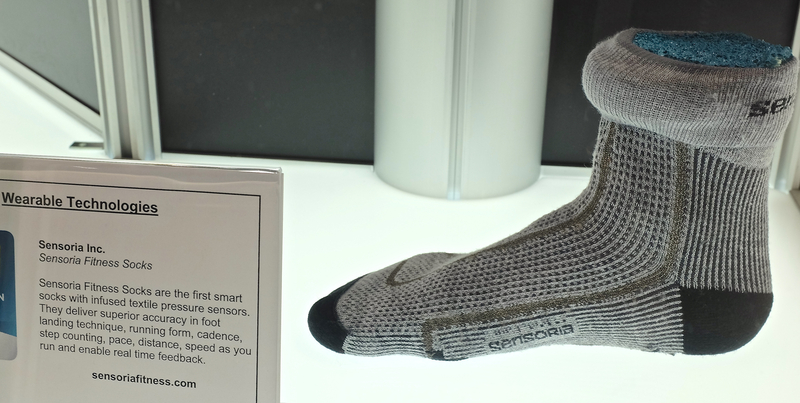 These sensors, such as this one in a sock, have immediately interesting medical use under physician supervision. Like many of the sensors, I feel this is a best practice use case and don’t think the home-use case is quite right yet because of the lack of accessible scientific data. 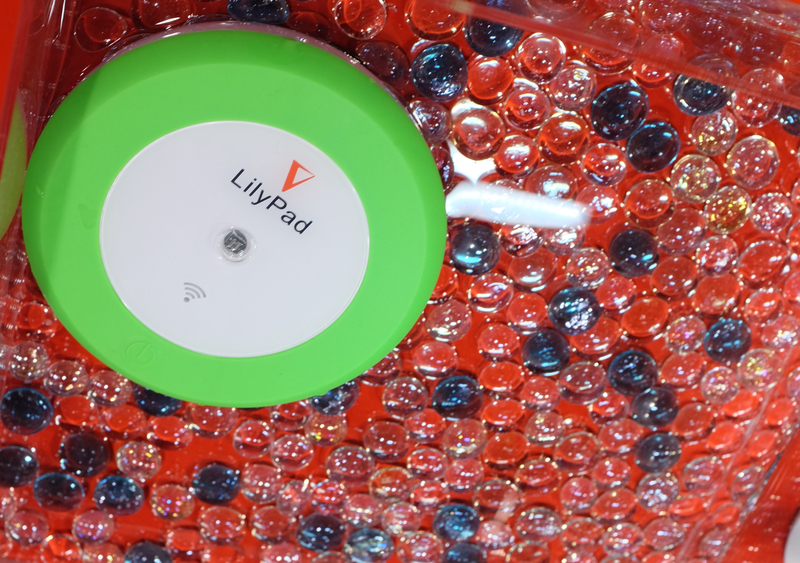 The Lillypad floats around in your pool and takes measurements of the water and wirelessly sends them to an app. It also measures UV light as a clever bonus. Speaking of pools, this was such a clever sensor. It is a Bluetooth radio that you pair with your phone. You get kids to wear this around a pool. When the kid is submerged it will notify you. You can get notified immediately or after a set time (I learned the national standard for under water distress is 25 seconds). The big trick—there’s no technology here; just that Bluetooth doesn’t travel under water. Awesome! 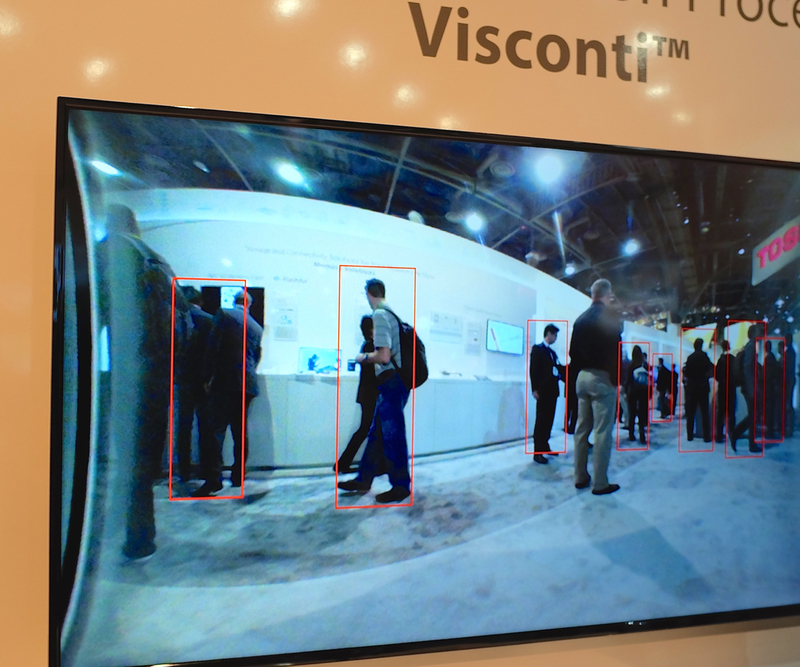 In this previous post, the notion of ingredients versus products at CES was discussed. To emphasize what this means in practice, this montage below is from a vendor that literally packaged up every point-sensor into a “product”. This allows for a suite of products, which is great in a catalog but awfully complex for a consumer. 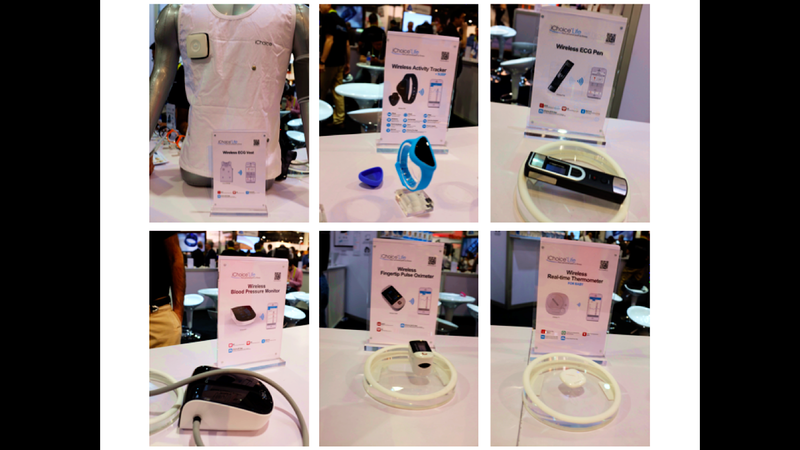 There were a dozen manufacturers displaying a similar range of single-sensor products. I don’t know if this is sustainable. PM Learning: Duh, everything will be connected. But unlike previous years, this is now in full execution mode. The biggest challenge is what “things” get connected to what things or networks. When do you put smarts somewhere? Where does data go? What data is used? Everything is going to be connected. This has been talked about for a long time, but is really here now. The cost of connectivity is so low and, at least in the developing world, assuming either Wi-Fi or WWAN (via add-on plans) is rational and economical. This will introduce a lot of complexity for hardware makers who traditionally have not thought about software. It will make for room for new players that can re-think scenarios and where to put the value. Some devices will improve quickly. Others will struggle to find a purpose to connect. We’ve seen the benefits of remote thermostats and monitoring cameras. On the other hand, remote controlled clothes washers (that can’t load the clothes from the basket or get the clothes into the dryer) might be still searching. 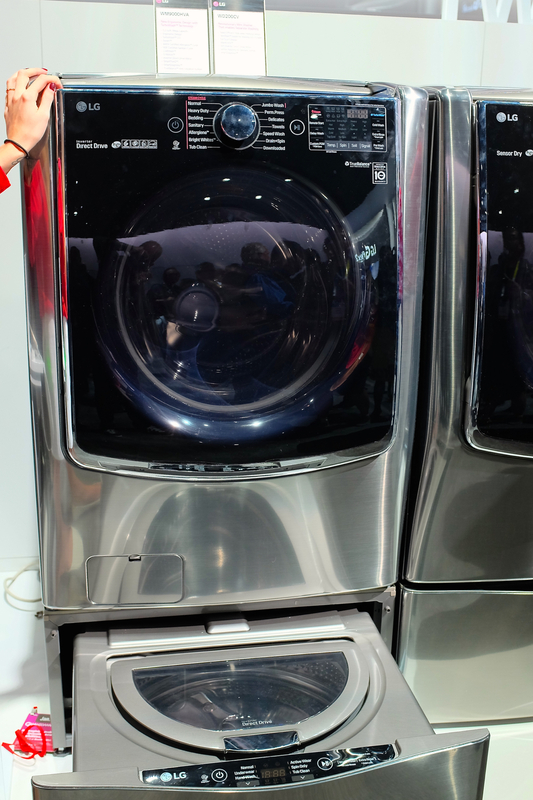 I would add that this dual load washer from LG is very clever. 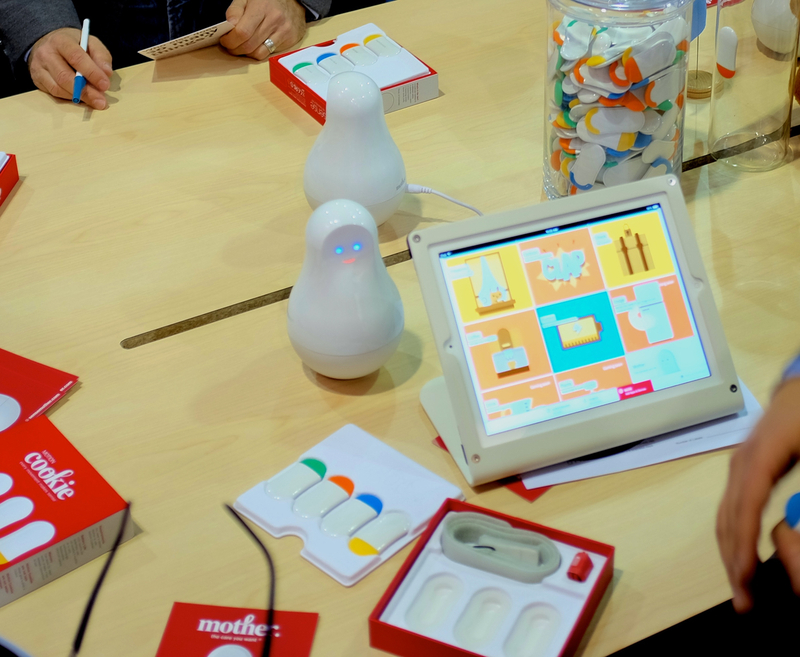 Many products were demonstrating their “Works with Nest”. This is a nice API and and it is attracting a lot of attention since like any platform is saves the device makers from doing a lot of heavy lifting in terms of software. While many of the demonstrations were interesting there can still be a little bit of a gimmick aspect to it (washing machines). This alarm clock was interesting to me. 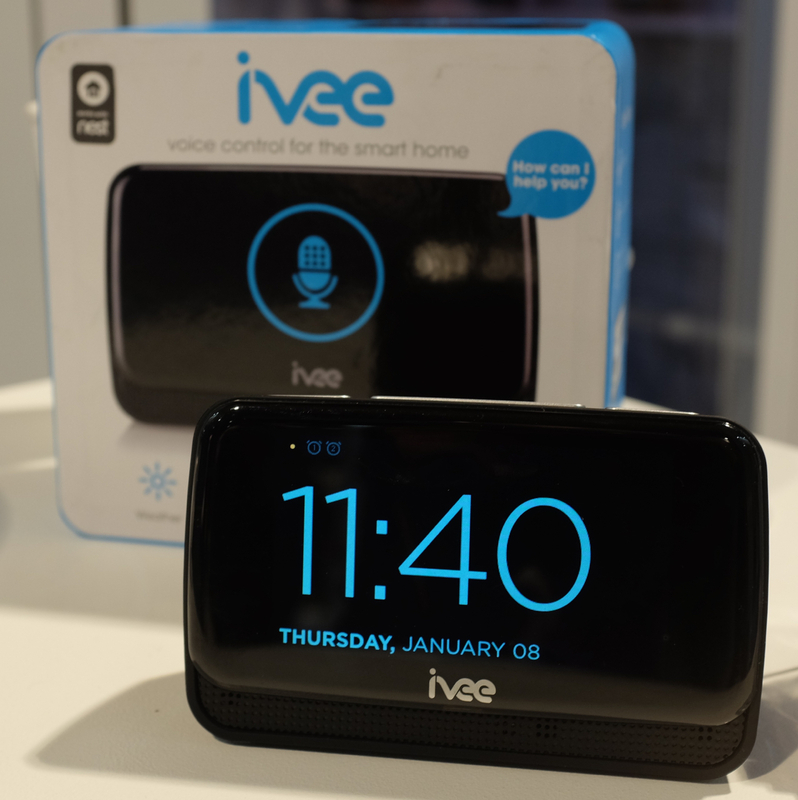 While many of us just use phones now (which can control nest) this clock uses voice recognition for alarm functions. When connected to a Nest it can also be used to change the temperature or to alter the home/away settings of the thermostat. A company called Cannon Security relatively new security safe company (most are very old) and I loved this “connected” safe. It isn’t connected the way I thought (an app to open it or alert you of a break in). 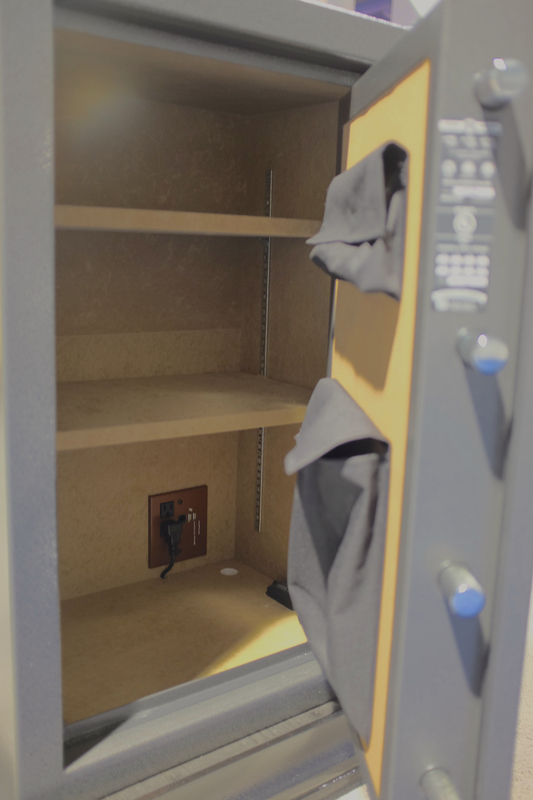 Instead it is a safe that also has a network cable and two USB ports. So one use might be to store a network connected drive in the safe and use it for backup. You could also keep something in the safe charging via USB. Pretty cool. The jack pack is in the lower right of the image. Insert a small module inline in the tree wires that control your garage door. 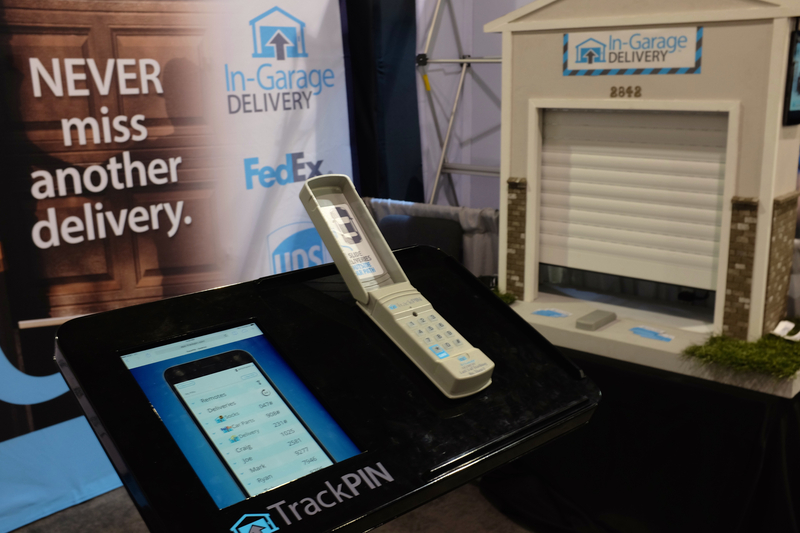 Add a battery operated PIN box to the front of your garage somewhere. When you receive a package tracking number email just forward it to trackpin.com (sort of like the way TripIt works). THEN, when the delivery person shows up (UPS, FedEx, USPS, and more) they will automatically know in their handheld what code to punch. Upon punching the code your garage door opens a short amount to slide the package in. No signature required. The PIN is invalidated. The driver is happy. You are happy. Amazon is happy. And the cloud did all the work. I know it sounds somewhat mundane, but these folks really seem to have developed a cool solution. It beats bothering the neighbors. 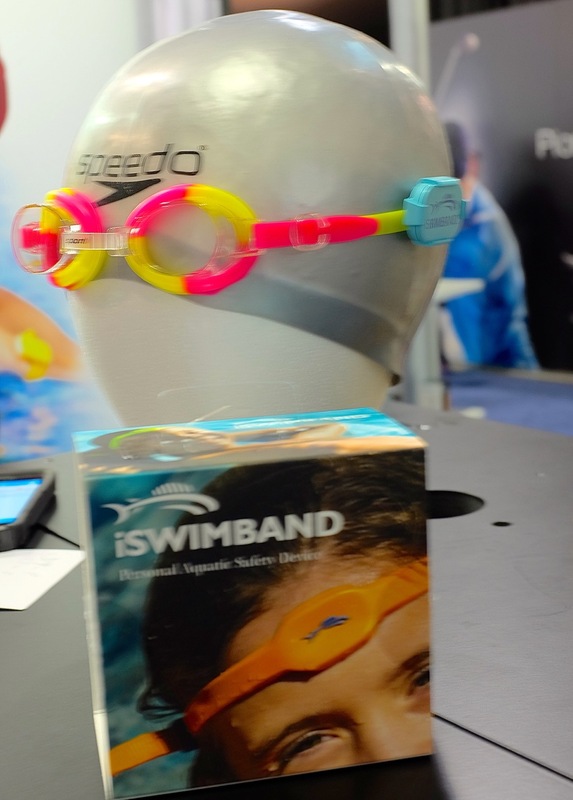 Every CES has a few fun products that you just want to call attention to without snark or anything, just because we all know product development is not a science and one has to try a lot of things to get to the right product. Power Pole. This is my contribution to selfies. This one even has its own power source. 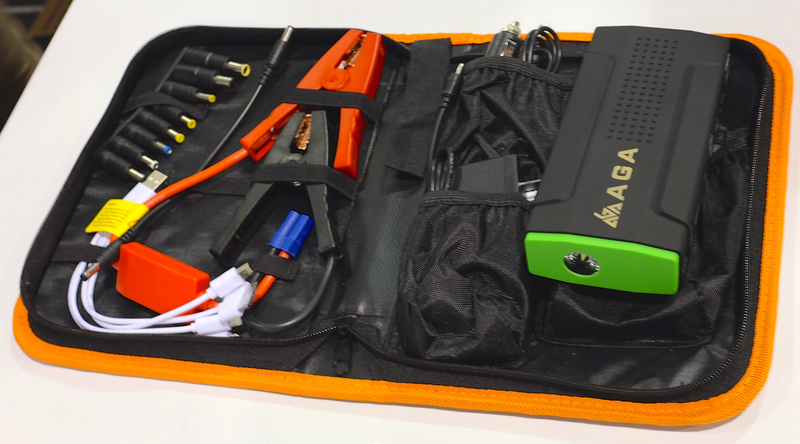 Emergency jump starter/laptop charger/power source. This was a perfectly fine product. The fun part was seeing the exact same product with different logos in 5 different booths. Amazing placement by the ODM. USB Charger. This is the best non-commercial USB charger I’ve seen. It even includes a way out of spec “high voltage port. Fake TV. 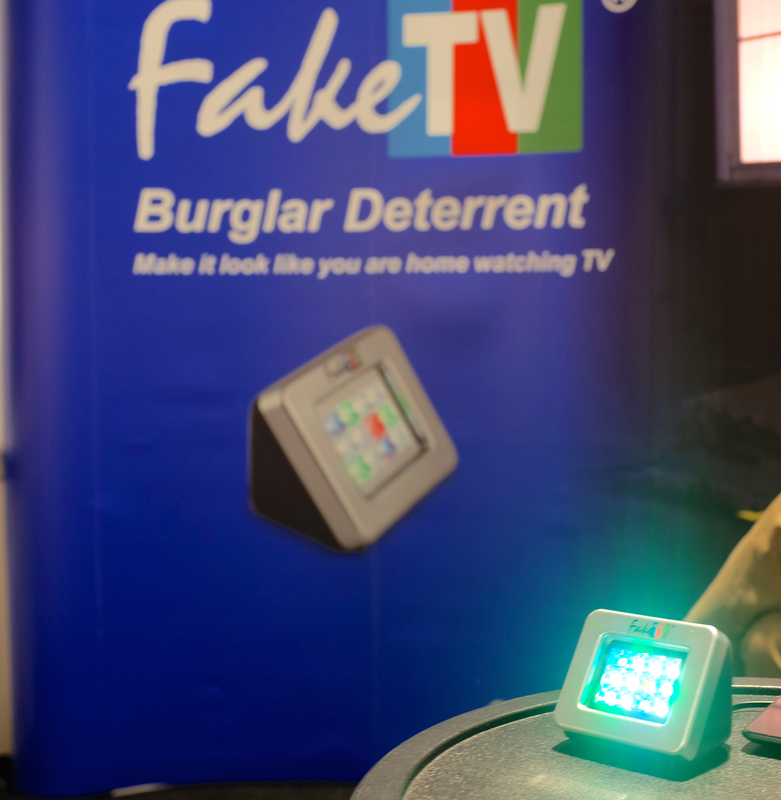 This is a home security system that flashes multi-colored LED lights that trick a burglar into thinking you are home watching TV. Best part about it was that when I took the picture the person staffing the booth said “Don’t worry the Wi-Fi Drone version is coming in late 2015”. Gotta love that!! Surface influence. And finally, I’ve been known to be a fan of Microsoft Surface but I guess I was not alone. 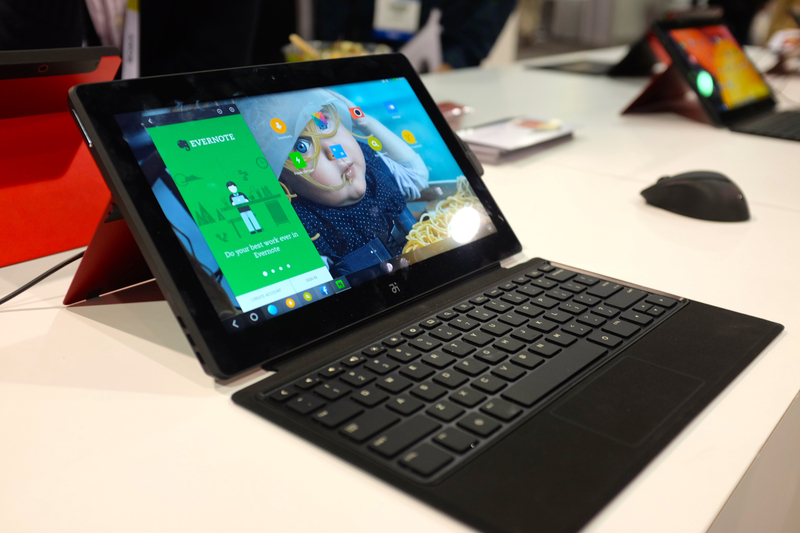 The Typo keyboard attempts to bring a Microsoft TypeCover to the iPad and the Remix Ultra-Tablet is a rather uncanny resemblance to Surface 2 running an Android skin (developed by several former Google employees). Phew. That’s CES 2015 in a nutshell. CES is an incredibly exciting and energizing show to attend. Sometimes, if you track some of the real-time coverage you might get a sense of disappointment at the lack of breakthrough products or the seemingly endless repetition from many companies making the same thing. There’s a good reason for all this repetition and it is how CES represents our healthy industry working well. CES is best viewed not as a display of new products to run out and buy but as a display of ingredients for future products. It is great to go to CES and see the latest TVs, displays, or in-car systems. By and large there is little news in these in-market products and categories. It is also great to see the forward-looking vision presentations from the big companies. Similarly, these are good directionally but often don’t represent what you can act on reliably. 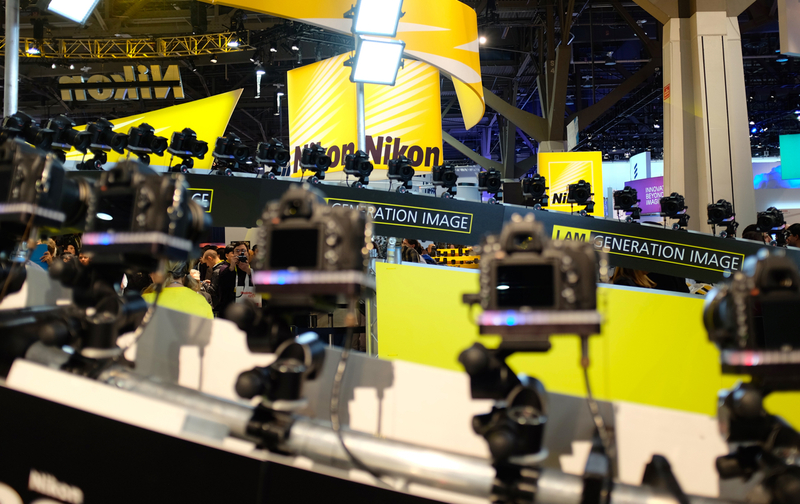 Taking an ingredients view, one (along with 140,000 others) can look across the over 2 million feet of 3,600 exhibitors for where things are heading (CES is one of the top trade shows globally, with CeBIT, Photokina, and Computex all vying for top ranking depending on how you count). 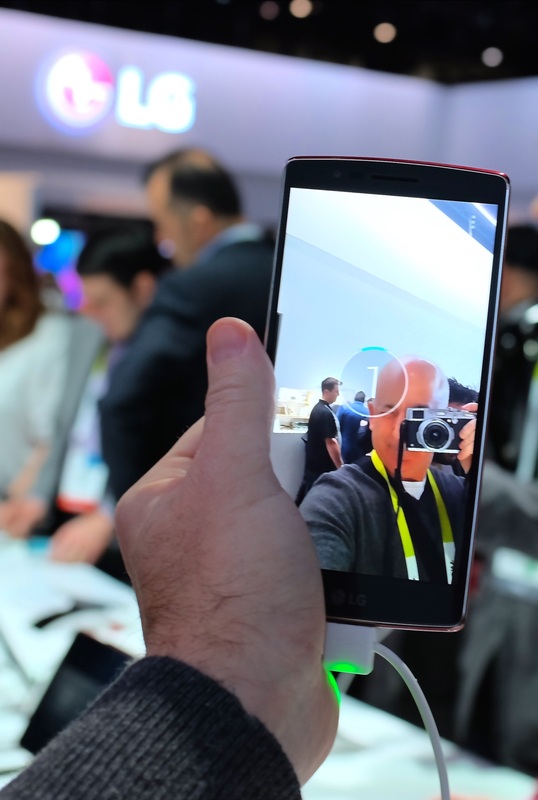 If you take a product view, CES can get repetitive or boring rather quickly. I probably saw a dozen selfie-sticks. After a while, every curved 4K TV looks the same. And certainly, there’s a limit to how many IP cameras the market can support. After a few decades you learn to quickly spot the me-too and not dwell on the repetition. 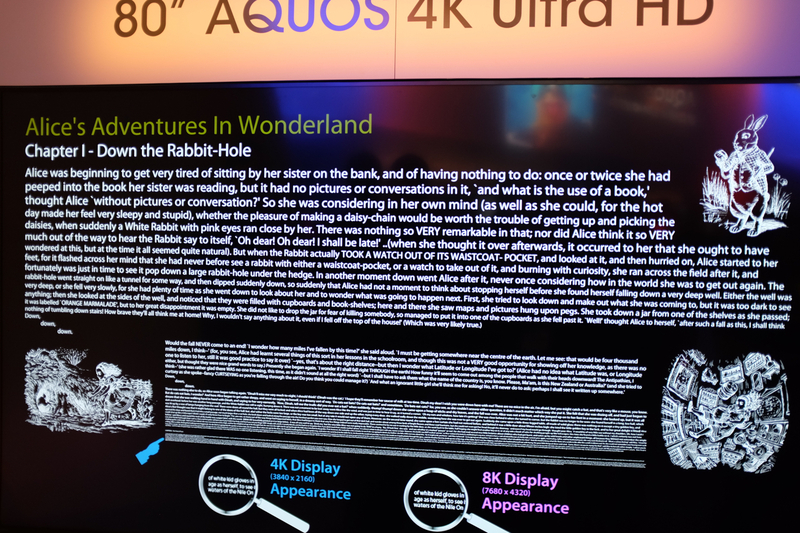 It is worth a brief description of why CES is filled with so many me-too (and often poorly executed) products. Component suppliers. These are the companies that make a specific sensor, memory, screen, chipset, CCD, radio, etc. Manufacturers. These are the companies that pull together all the components and packaging needed to make a product. These are OEMs or ODMs in the consumer electronics industry. Brands and Channels. These are the consumer-visible manifestation of products and can be the chain of retailers or a retail brand. At any one time, a new component, an innovation or invention, is close to ready to be in the market. An example might be a new heart rate sensor. In order to get the cost of the component low enough for consumer products, the component supplier searches out for a manufacturer to make a device. While every supplier dreams of landing a major company making millions of units as a first customer that never happens. Instead, there’s a whole industry of companies that will take a component and build what you might think of as a product with a 1:1 mapping of that new component. So a low-cost CCD gets turned into a webcam with simple Wi-Fi integration (and often some commodity level software). The companies that make these are constantly looking to make new products and will gladly make a limited production run and sell at a relatively low margin for a short time. These initial orders help the component makers scale up manufacturing and improve the component through iteration. At the same time there are retailers and brand names that are always looking to leverage their brand with additional products. These brand names often take the complete product from the manufacturer with some limited amount of branding and customization. This is why you can often see almost identical products with different names. 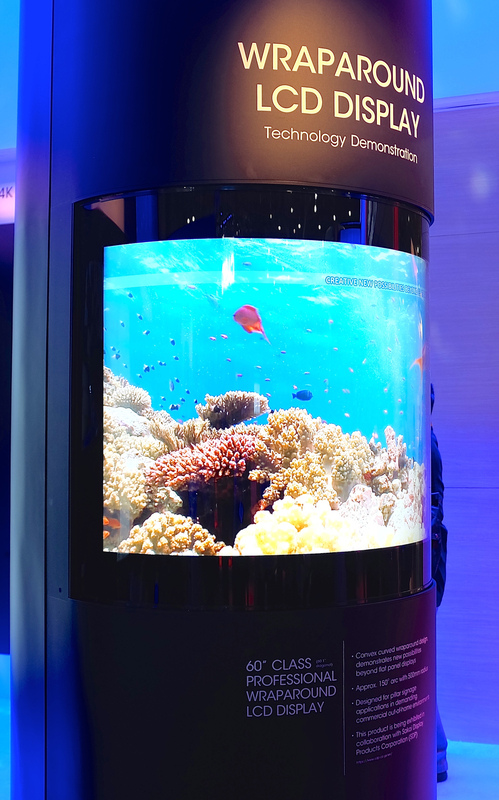 Many know that a few vendors make most LED displays, yet the number of TV brands is quite high. There’s a small amount of customization that takes place in this step. These companies also work off relatively low margins and expect to invest in a limited way. For new categories, while the component companies get to scale out parts, the brands and channels get a sense of the next big thing with limited investments. So while CES might have a ton of non-differentiated “products”, what you are really seeing is the supply chain at work. In fact it is working extremely well as this whole process is getting more and more optimized. The component manufacturers are now making proof of concepts that almost encroach onto the manufacturers and some brands are going straight to component makers. For the tech enthusiast these might be undifferentiated or even poor products, but for many they serve the purpose at least in the short-term. 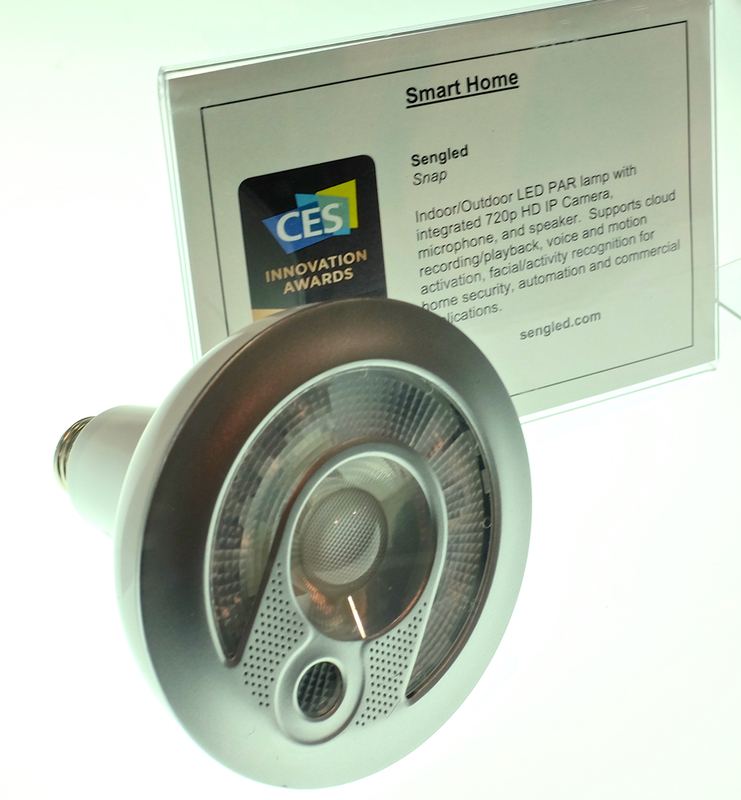 Today, some things we take for granted that at one time seemed to swarm the CES show floor with dozens of low quality builds and me-too products include: cameras, flash memory, media playback devices, webcams, Wi-Fi routers, hard drive cages, even tablets and PCs. I recall one CES where I literally thought the entire industry had shifted to making USB memory sticks as there must have been 100 booths showing the latest in 128MB sticks. Walking away, the only thing I could conclude was just how cheap and available these were going to be soon. Without the massive wave of consumer me-too digital cameras that once ruled the show floor, we would not have today’s GoPro and Dropcam. An astute observer can pick out the me-too products and get a sense for what ingredients will be available and where they are on the price / maturity curve. One can also gauge the suppliers who are doing the most innovative integrations and manufacturing. Sometimes the whole industry gets it wrong. The most recent example of this would be 3D TV, which just doesn’t seem to be catching on. Other times the whole industry gets excited about something but others take that direction and pivot it to much more interesting and innovative products. An example of this would be the run of “media boxes” to attach to your TV which went from playing content stored on your home network and local hard drives to stateless, streaming players like Google Chromecast, Amazon Fire and Apple TV. Without those first media boxes, it isn’t clear we would have seen the next generation which took that technology and re-thought it in the context of the internet and cloud. Finally, the reality is that most of the manufacturers tend to take a new component and build out a purpose-built device to surround that component. So they might take a camera sensor and add a camera body and just make a point-and-shoot. They might take new flash storage and turn it into portable storage. They might take a new display and just make complete monitor. Rarely will the first generation of devices attempt to do multiple things or take a multi-year approach to integrated product development—not on those margins and timelines. Some technologies this year that reflect first generation products and are likely to be brought to scale or further integrated with other components include: curved displays, high resolution/high DPI displays, human and environmental sensors, and HDR imaging. Sensors will be the most interesting as they will clearly be drawn into the SoC and/or integrated with each other. Obviously, everyone can expect Wi-Fi and broadband connectivity to continue to get smaller and easier and of course CPUs will continue to shrink, draw less power, and get faster. So when you read the stories about CES saying there are too many junky products or so many of the exact same thing, don’t think of that as a negative. Instead, think about how that might be the next low-price, high-scale ingredient that will be integrated into your product or another product. Much is being said lately about the trend to unbundle capabilities for the web and apps. Is this a new trend, a pendulum, or another stage in the evolution of providing software solutions for work and life? Are we going to learn what some would say are lessons from a past generation of software and avoid bloatware? Perhaps we will relive some of the experiences from that era and our phones and tablets will be littered with app shrapnel as our PCs once were? My own personal experience in product choices is marked by a near constant tension over not just bundle v. unbundle from a product perspective, but also from a business perspective. Whether on development tools, Office, Windows, or internet services I’ve experienced the unbundle <> bundle dynamic. I’ve bundled, unbundled, and had the “internal” debates about what to do when, what went well or not. If you’re interested in an early debate about bundling Office you can see the Harvard case study on the choice of “best of breed v. suite” in Finding the Suite Spot ($). This HBR article does a good job of bringing forth some of the history and describing the challenges of positioning unbundle/bundle as both a binary choice and a pendulum or Krebs-like cycle of resource conservation. Marc Andreessen does a great job in these two tweetstorms of detailing the bundle/unbundle cycle on the internet and the computer history we both grew up with (http://tweetstorm.io/user/pmarca/481554165454209027 and http://tweetstorm.io/user/pmarca/481739410895941632). There’s one maxim in business that drives so much of the back and forth or pendulum behavior we tend to see, which is that most strategies have a complementary approach (vertical v. horizontal, direct v. indirect, integrate v. distinct, first v. third-party, product org v. discipline org, quantitative v. qualitative performance evaluation, hack v. plan, etc.) So in business depending on your roots or your history, and most importantly the context you find yourself, you are going down a path of one of more of these attributes. Over time your competition tends to pick you apart the other way or ways. Equally likely, your ecosystem builds up around you innovating in parts where you are weaker, gaining strength, and showing off new approaches to product or market. Certainly, if you’re a new company entering an established market you will not just copy the approach of the incumbent which is why new products seem to be at the other end of one of these spectrums. Then as you get in trouble you look around and try to figure out what to do. There’s a good chance the organization will double down on the approach that has always worked—after all as Christensen says, that is the natural energy force in an organization. That happens until a big moment of change (a major competitive success, leadership change, etc.) and then you change approaches. More often than not, your choice is to do the thing you weren’t doing before. If you’re around in the workforce long enough, you start to see things as a series of these evolutionary steps. This is business, context is everything. There’s never a right answer in absolute, only a right answer given the context. The moments of change, of breaking the cycle or swinging back the other way, are the moments that unleash significant improvements in the work, the product, or the workplace. As consumers we adopt new technologies without realizing or thinking about whether they are bundled or unbundled, and our choices and selections for one or other are highly dependent on the context at the time. There are times when bundling is essential to the distribution of technology, just as there are times when unbundling brings with it more choice, flexibility, and opportunity. Obviously the same holds for businesses buying products, only businesses have purchasing power that can make bundled things appear unbundled or vice versa. Autos began with minimal electronics, followed by optional electronics, then increasingly elaborate integrated electronics and many now think that smartphones will be the best device for in-car electronics/apps (for example the BMW i series). LinkedIn began as a network for professionals to list their credentials and connect to others professionally. Recently it has bundled more and more content-based functionality. Mobile telephony used to have distinct local, long distance, text and then data plans, which have now been bundled into all-you-can-consume multi-device plans. Word processing used to have optional spell-checking and mail merge which was then bundled into single products which were then subsequently bundled into suites and also now bundle cloud services. Similarly, financial spreadsheets, data analysis, and charting were previously distinct efforts that are now bundled. Today we are seeing new tools that have different feature sets and approaches, representing some unbundling and some bundling. Operating systems were once highly hardware dependent, then abstracted from hardware but with optional graphical interfaces, followed by a period of bundling of OS+Graphics, followed by a bundling of OS, graphical interface, and hardware in a single package. Today with services we’re seeing different combinations of bundling and unbundling innovations. Microprocessors have been on a fairly continuous bundling effort relative to peripherals, graphics, and even storage. Modern smartphones are a wonder of bundling, first at the hardware level (SoC packaging) followed by hardware+software, then through all the devices that were previously distinct (GPS, still camera, video camera, pedometer, game controller, USB storage, and more). There are countless examples depending on what level in the full consumer offering is being considered (i.e. product, price, place, promotion). Considering just these examples, one can easily see the positives and potential pitfalls of any of these. People like distinct products when exploring new capabilities and product teams like building single purpose tools early in product lifecycle, out of both focus and necessity/resources. People like it when their favorite product adds features that previously required a separate product, especially when their favorite product is growing in usage. Product teams love to add more features to existing products when those features map to obvious needs. People have some threshold for when an integrated product turns into an overwhelming product, but that “line in the sand” is impossible to define a priori and depends a great deal on how products are evolving around your product. Mobile phone plans today are great, but many are very unhappy with Cable TV bundles. Competition can come from a bundle that you were previously not considering **or** competition can come from unbundling the product you make. Product managers often reach a point where they can no longer solve the problem of adding new features while seeing them get used and also getting credit for innovating. Macro factors can radically alter your own views of what could/should be bundled. If your business does not have a software component and your competitors add one, attempting to bundle that functionality could be quite challenging (technically, organizationally). If the platform you target (autos, spectrum, screens) undergoes a major change in capability then so too does your view of bundling or unbundling. These examples and observations make one thing perfectly clear: whether to bundle or unbundle features depends a great deal on context and customer scenarios and so the choices require a great deal of product management thought. The path to bundle or unbundle is not linear, predictable, or reactionary but a genuine opportunity and need for solid product thought. On the one hand, considering whether to bundle or unbundle innovations might just be “do what we can that is differentiated”. In practice there are some key strategy questions that come up time and time again when talking to product folks. Discoverability. The most critical strategic question to bundle or unbundle is whether the new work will be discoverable by intended customers. In a new product, the early waves of innovative features often make sense bundled. Over time, just responding to customers means you’ll be bundling in new capabilities (whether organic or competitive). Usability. When faced with a new feature or business approach, the usability of this approach is a key factor in your choice. If you’re unable to develop a user experience that permits successful execution of the desired outcome, then it doesn’t really matter whether your bundled or unbundled. Depth. When making the choice to bundle or unbundle you have to think through how much you plan on innovating in the spaces. If you’re setting yourself up for a long-term head to head on depth versus believing you are “checking a box” you have different choices. Incumbents often view the best path to fending off a disruptive unbundled feature as adding a checkbox to compete (to avoid the trauma of a major change in approach). Marketing often has an urgency that drives a need for market response and that can be represented as an unbundled “add-on that no one cares about” or “a checkbox that can be communicated” — that might sound cynical until you’ve been through a sales cycle losing out to a “feature as a product”. Business economics. If you charge directly for your product or service (or freemium), then there will be a strong incentive to bundle more and more into your existing offering. Sales will generally prefer to add more features at the current price. Marketing will potentially advocate for a new pricing level to increase revenue. If you choose to unbundle and develop a new product, side-by-side or companion, then you’ll need to consider what your attach rate might be. A bundled solution essentially sees a 100% attach rate to your existing product whereas a whole new product brings with it the need to generate demand and subsequent purchase or usage. An advertising-based service will see increased surface area for an unbundled solution but will also dilute usage. A web-based service allows for cross-linking and easy connection between two different properties, but apps will require separate downloads and minimal cross-app connections. Usage economics. It might sound strange separating out business from usage, since especially in a SaaS world they are the same thing. In practice, if you’re revenue is tied to usage directly (page views, transactions, etc.) then your design needs to factor in how you measure and drive usage of the features, bundled or unbundled. If you’re economics are not tied directly to usage you will have more strategic latitude to consider how your offering plays out bundled v. unbundled (assuming your boss lets you keep working on something no one uses). Should you add that new feature or capability to your existing product or should you create a new destination (app, site)? Should you break out a feature because unbundling is the new normal or will that just break everything? Those are the core questions any PM faces as a product grows. One tip: do not claim that one approach (bundle v. unbundle) is good for users and the other approach is only good for business. In other words, bundle v. unbundle cannot be distilled down to pro-user or anti-user, or more importantly marketing v. product. The best product people know that context is everything and that positioning a choice as A against B is counter productive—everyone is on the same team and has the same broad goals. As difficult as it is, working through these questions with as much dialog as possible and as much “walk in the other’s shoes” is absolutely critical. There are many natural forces at play that will drive one way or another. For example, most organic product development will tend to expand the existing product as it builds on the infrastructure and momentum already present. Most new acquisitions will tend towards acquiring unbundled solutions, aka competition, though in the enterprise space one can expect significant calls to integrate even disparate technologies. Part of being a good PM is to step back and go through a thoughtful process about whether to bundle or unbundle new capabilities. The following are some design choices. Advertising new features in proportion to expected usage. There’s a general view to advertise a new feature in the UX in an excessively prominent manner. You want people to know you fixed or added a feature. At the unbundle extreme this means a whole new app and a trend to shrapnel. In the bundle extreme this means a big UX to drive you to a new thing. The most critical choice is really making sure that you are designing the access to the feature to be in relative proportion to how much you expect your customer base to use something. Plan for “n+1” in all experience choices. As you make the choice to bundle or unbundle, know ahead of time that this will not be the first place you make this choice. If you’re adding a new app today then chances are that will become the way you solve things down the road. If you’re adding new UX access to a feature then plan on more depth in that feature or more peer features. Is the choice you are making scalable for the growth in creativity and innovation you expect? Integrate or connect in one direction, not both. If you bundle or unbundle there will be a relentless push to promote the connection between elements of the product or service. Demo flows, top-level UX, even deep linking between apps. At some extreme if you bundle n items, it might not be unrealistic to go down a path where every n is connected to every other n-1 and vice versa. This is incredibly common in line of business apps/modules. Bundle and innovate, don’t bundle and deprecate. If you make a choice to bundle a capability into your mainline effort, do not bundle it to make it go away. Bundle it and think of it as just as important as other things you do. This dynamic appears when your competition does something you don’t like so you hope to have a checkbox and make the competitor go away. This never happens. Designing for good enough leaves you open to disruption. Closely related to deprecating while bundling is the idea that a “tie is a win”. Once you’re established you often think that you can continue to win against a competitor with an integrated implementation that is “good enough”. That might work in short-term marketing but over time, if the area is important you’ll lose. Expect hardware to be relentlessly bundled. If you connect to hardware in any way, then you’ll be faced with a relentless march towards bundling. Hardware naturally bundles because of the economics of manufacturing, the surplus of transistors, and the need to reduce power and surface area. Never bet on hardware or peripherals staying unbundled for long. Expanding software depth is easy, but breadth often adds more value. Engineers and product managers love to round out features, add more depth, more customization, and more incremental improvements. This is where the customer feedback loop is really clear. In terms of growing the business and attracting new customers, expansion in breadth is almost always a better approach so long as you “bundle” features that seem natural. Over indexing on depth, particularly early in a product life-cycle leaves you open to a competitor that does you plus other valuable things, no matter how much you think you’re unbundling approach is cleaner and simpler. Defined categories do not remain defined for long. In enterprise products the “category” or “magic quadrant” is everything. 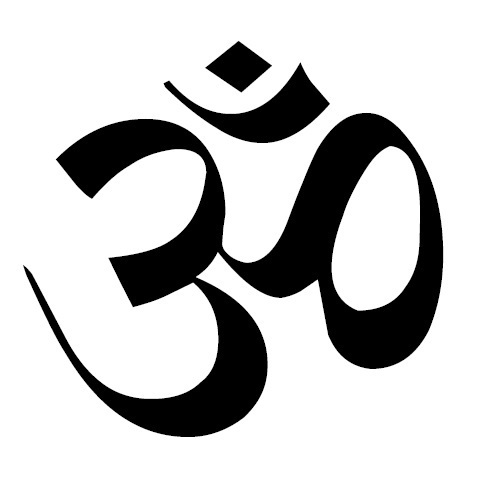 In practice, these very definitions are always in transition. Be in the lookout for being redefined by an action of bundling or unbundling. Assume sales and marketing will prefer new capability to be bundled, or maybe not. Finally to highlight how contextual this is, there is no default as to how outbound efforts will prefer you approach the problem. It is not necessarily the opposite of what you are doing or the same as a competitor. For example, if your sales force economics are such that they are strongly connected to a single product and sales motion, it will be clear that bundling will be preferred no matter what a competitor is up to. At an extreme, even an unbundled feature will be used as a closer or a discount, particularly in the enterprise. Conversely, even if your competition is highly bundled, you’re own outbound efforts might be structured such that unbundling is a competitive and sales win. You just never know. Most importantly, the first reaction isn’t the way to base your approach—spend the time to engage and debate. To bundle or unbundle is a complex question that goes beyond the simplistic view that minimal design makes for good products. Take the time to engage broadly across the team, organization, and to project forward where you want to be as these are some of the most critical design choices you will make.